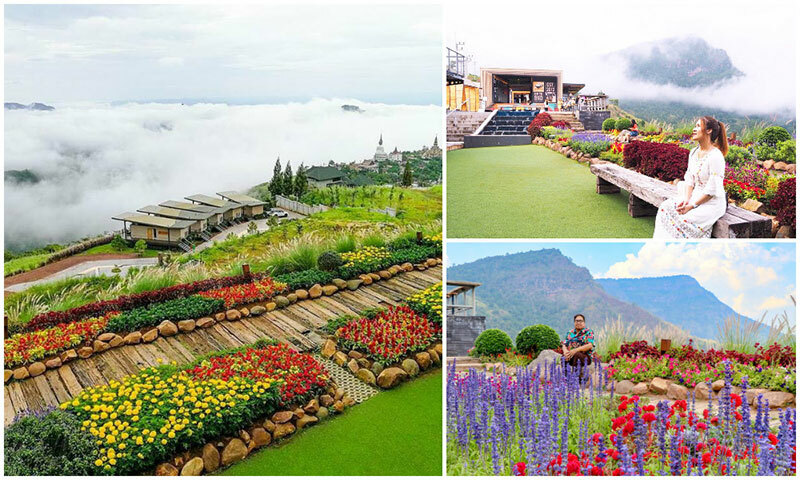 A 5.5-hour drive away from Bangkok to Khao Kho will transport you to a magical town above the clouds. 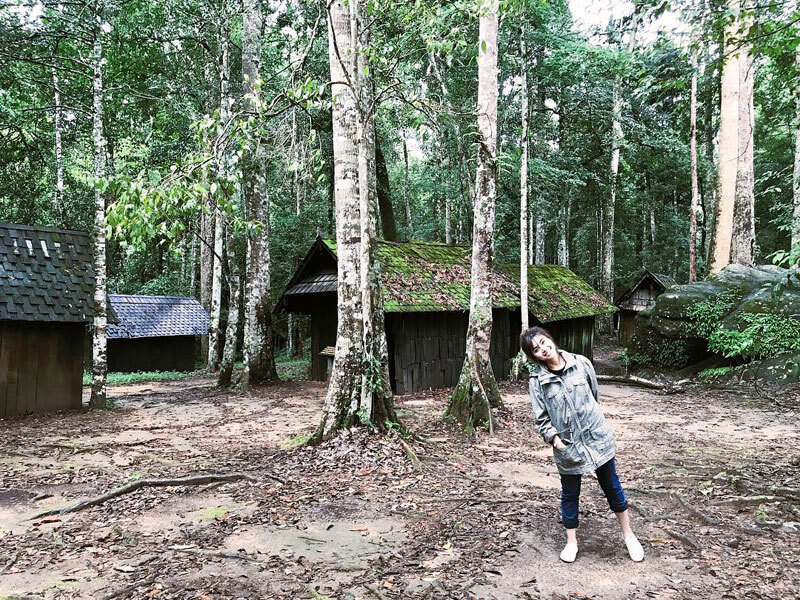 Due to the cooler temperature, the scenery is vastly different from the Thailand you are used to. 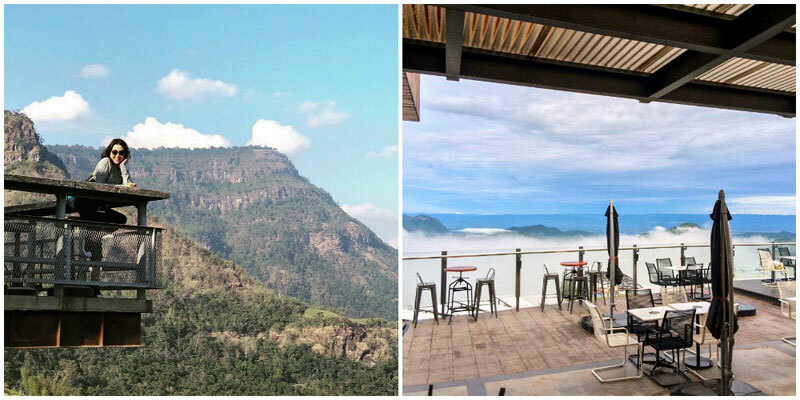 10 Affordable stays in Khao Kho where you can wake up to a sea of clouds! 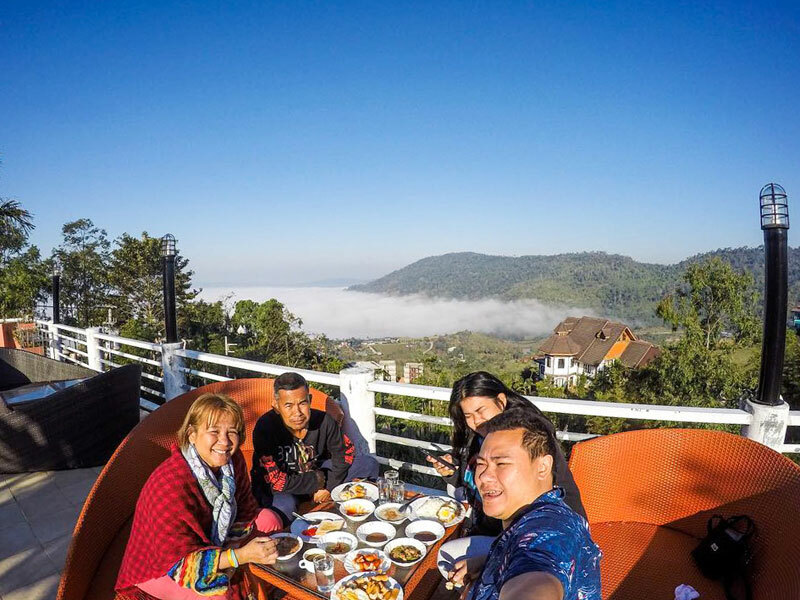 What makes Khao Kho so special? 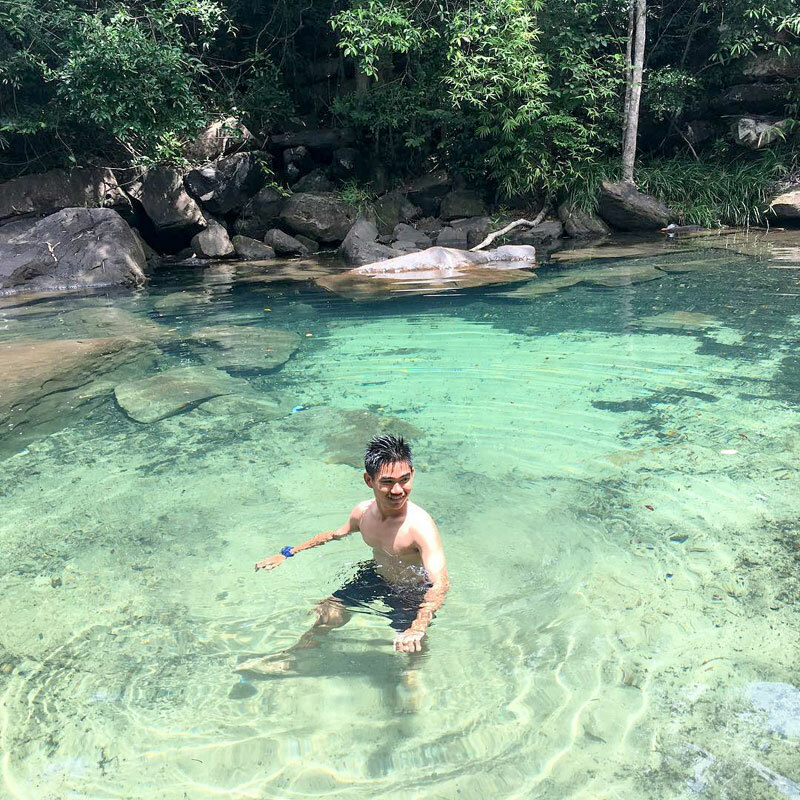 Aside from the fact that it will show you a whole new side of Thailand you’ve never seen, there are sweet strawberries, multi-coloured blooms and freshwater jellyfish, amongst other things! 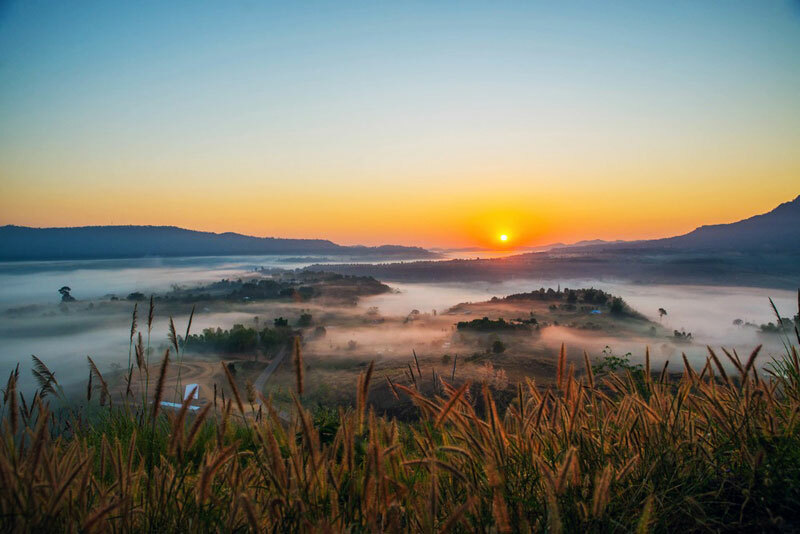 Without further ado, let’s explore the magic of Khao Kho, starting with all reasons why it should be on your travel list. 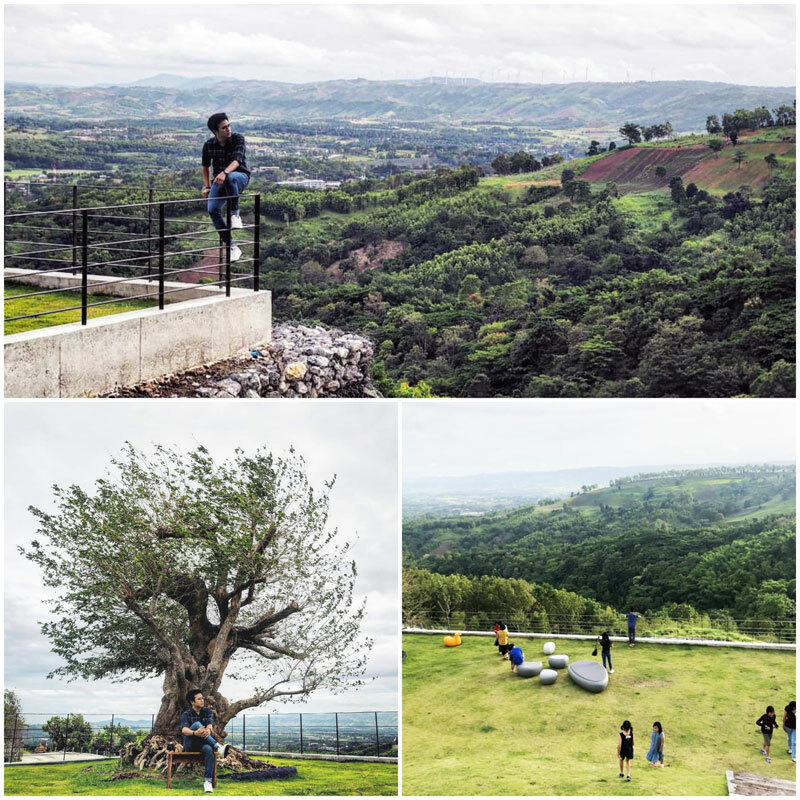 Khao Kho is 5 and a half hour’s drive from Bangkok. 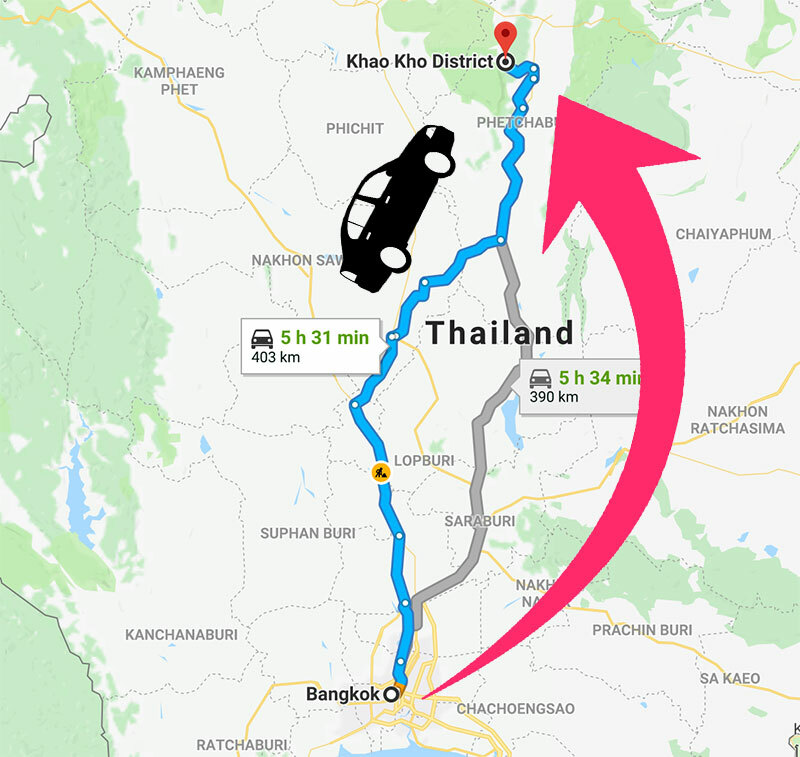 We split up the drive by driving from Bangkok to Lopburi – then staying one night in Nakhon Sawan and exploring the area, before reaching Khao Kho! We were on a friends’ road trip so we wanted to rent a car and enjoy the drive ourselves. 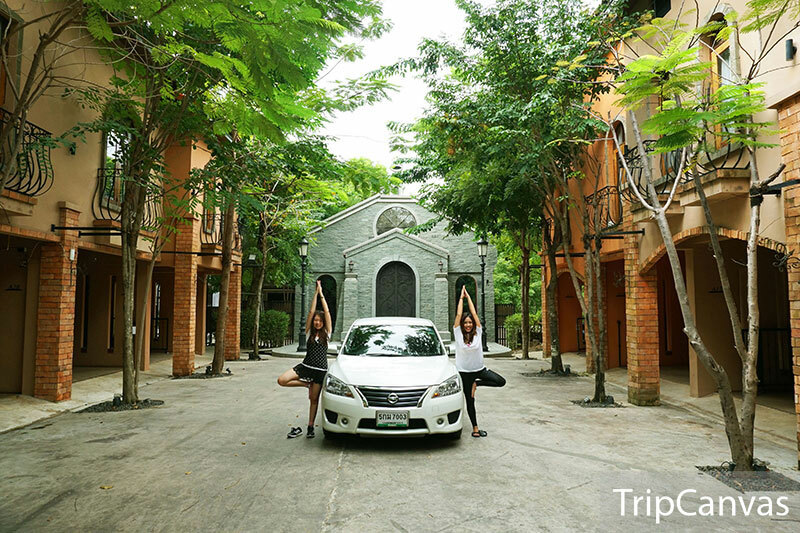 One of the most reliable and affordable car rentals we found was Europcar Thailand. 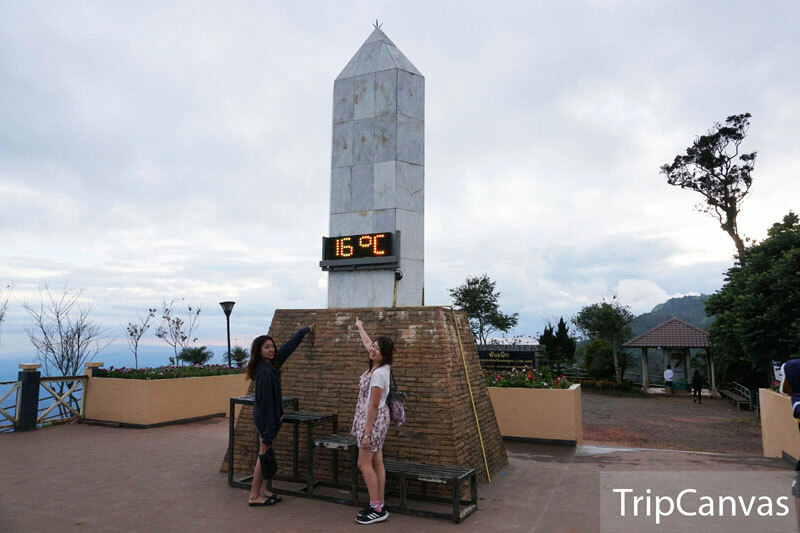 Our tip: If you plan to drive up mountainous roads like we did to reach Khao Kho, we recommend renting an SUV with higher power to go up the mountain. We got a 1.6L Sylvia and almost stalled the car, and 2 of us ended up having to get out and walk up while our friend drove up! 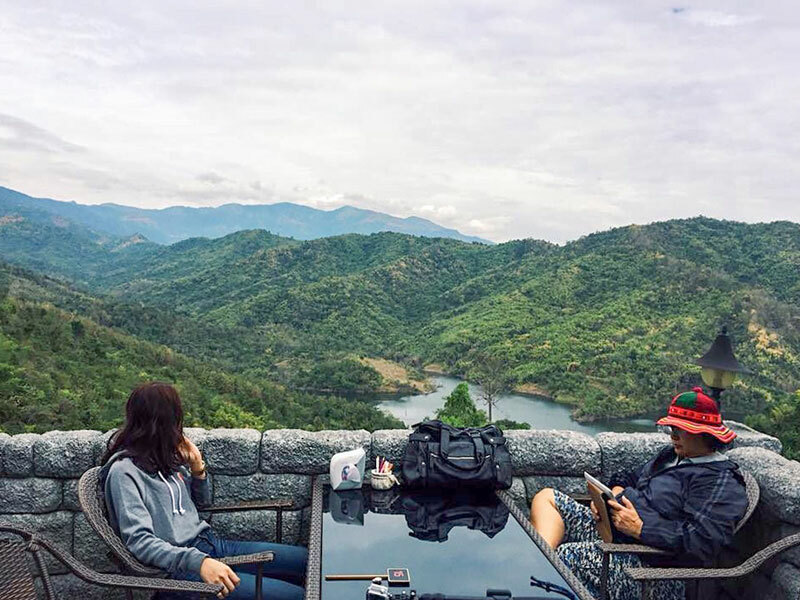 Khao Kho is generally good to visit most of the year. 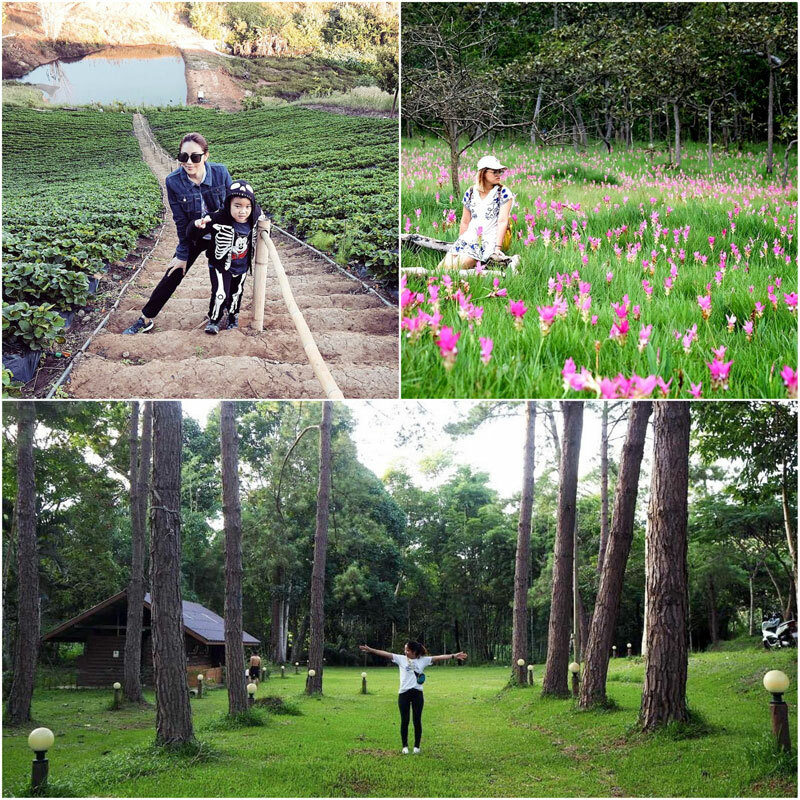 Avoid Khao Kho from April to June (hottest season). Other than that, you’re good to go! 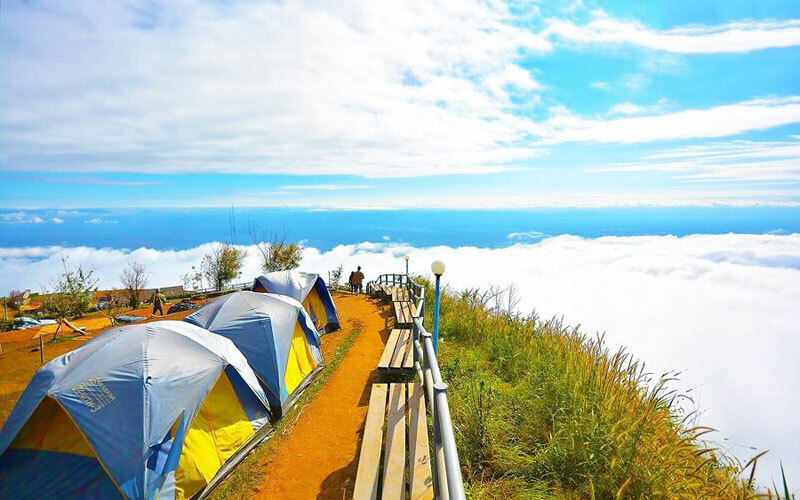 If you’re looking for spectacular sea of clouds views, the sea of clouds are most dense during the rainy season from July to September. And if you’d love cold wintry temperatures, visit from November to February! 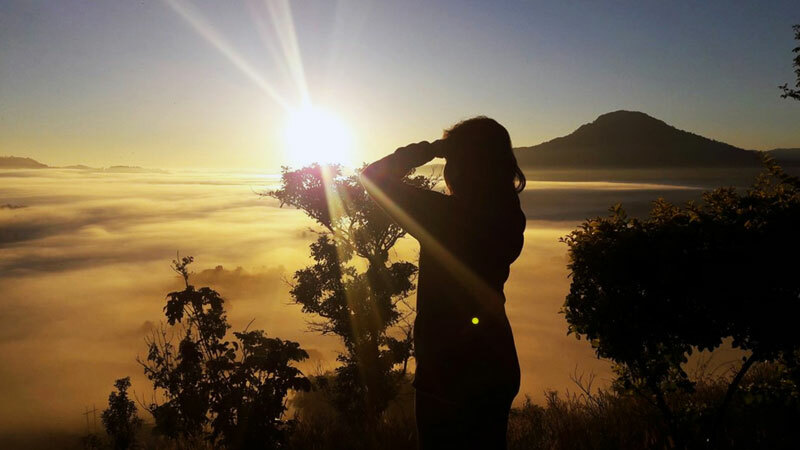 Wake up to the sea of clouds! 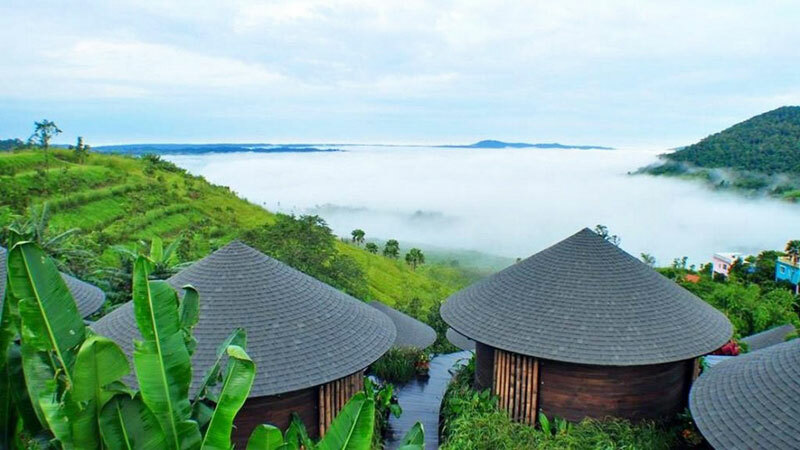 Spend your nights nestled among the clouds and wake up to stunning views! 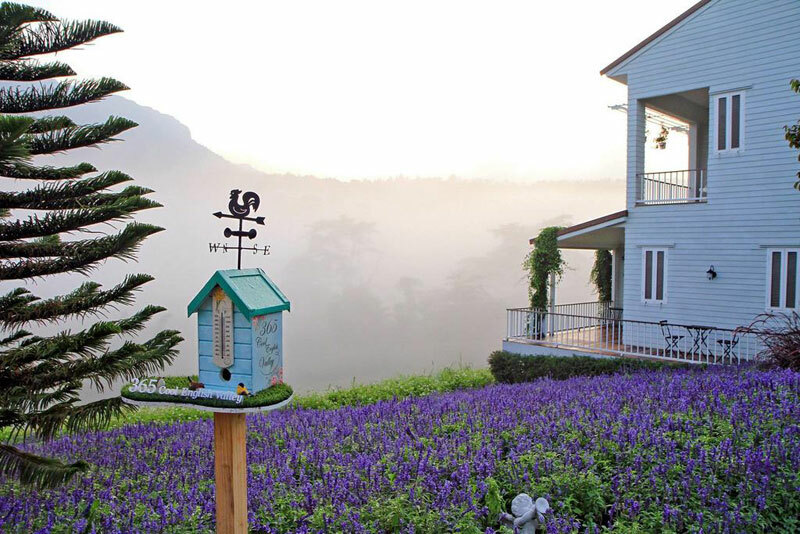 One of the best ways to experience Khao Kho is to actually stay there. 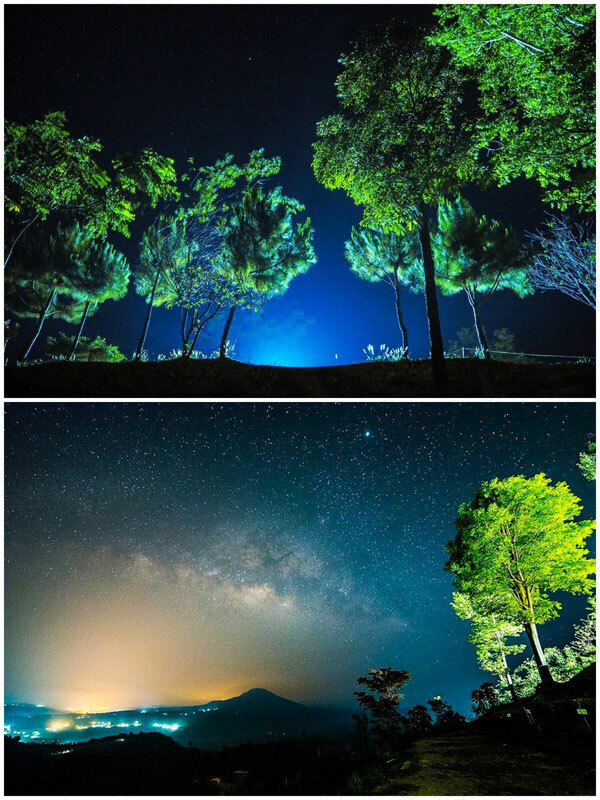 You’ll feel like you’re nowhere on earth, and make unforgettable memories. 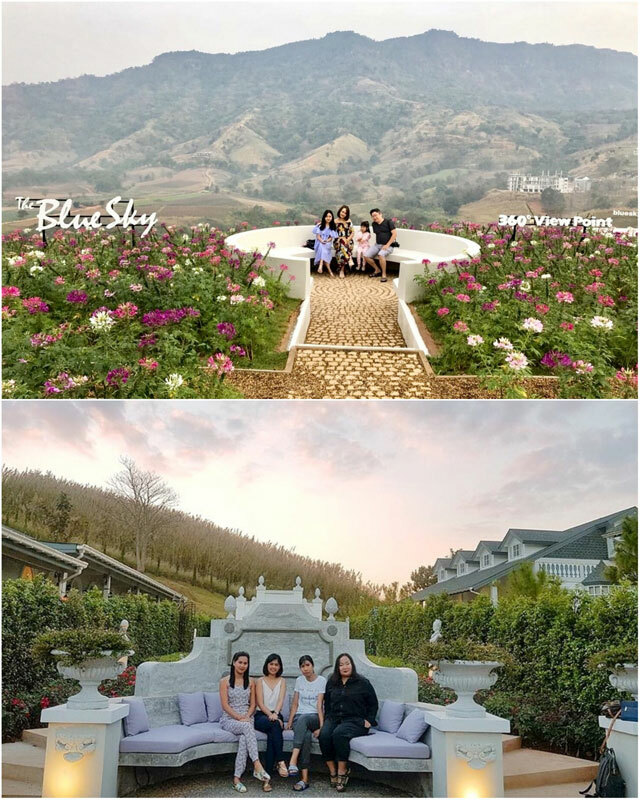 We found the cutest little places for you to stay in Khao Kho, especially if traveling with your lover – basically in a sea of clouds. 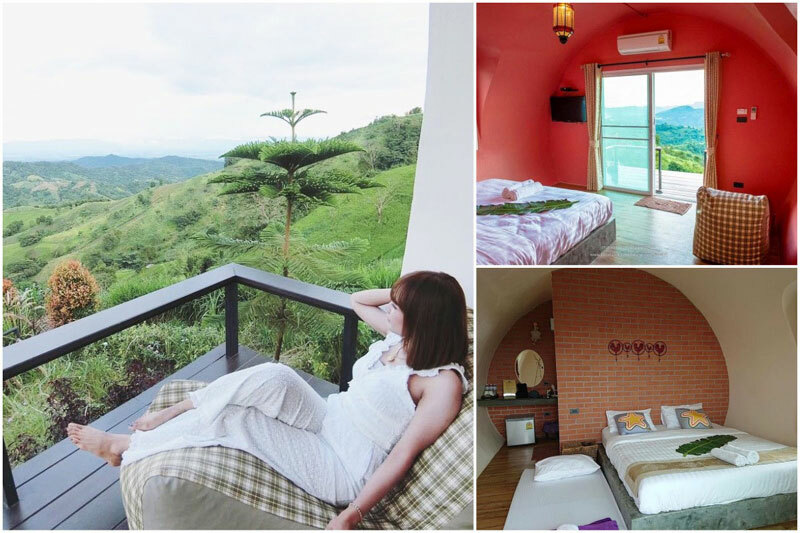 Each room here is designed like a yummy swiss roll, and they call them jamrolls here. 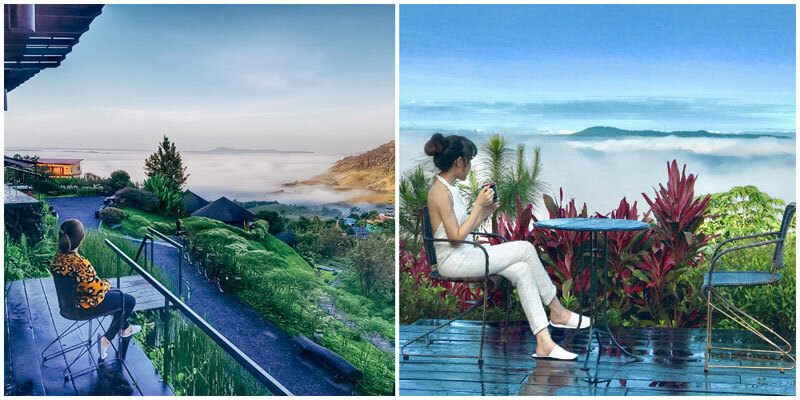 Thankfully, they’re like little cabins where you’ll get to wake up every morning to breathtaking views – and each little unit has its own balcony for you to enjoy those panoramic views at. The rooms are designed to be warm, charismatic, a little bit modern with a homey cabin-in-the-mountains feel. What we’re trying to say is the interiors are simply lovely! 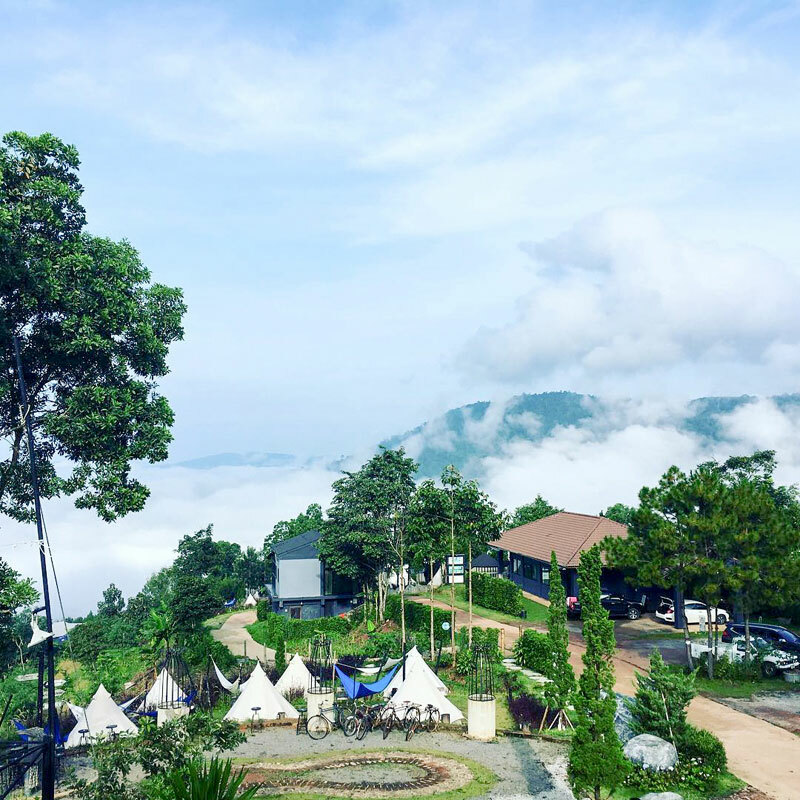 There’s a real uniqueness about this stay, but surely waking up with your head up in the clouds everyday must add some kind of secret magic to whole experience too! 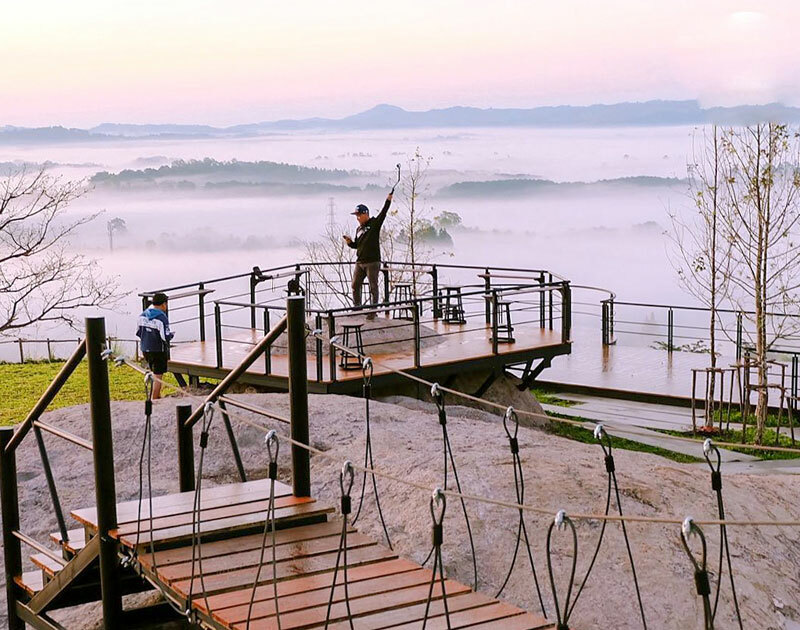 Camping at Rai Rim Pha is something only for the adventurous. It’s simple with no frills, and this means none of the usual comforts like a private heated shower. However, if you’re up for it, the views are amazing and no pictures will ever live up to the real deal. 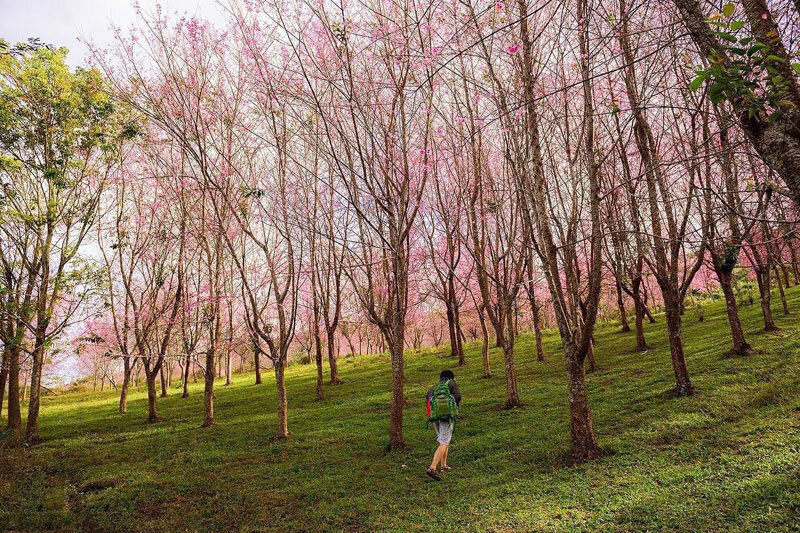 If you come around December or January, you will see cherry blossoms in bloom – no need to fly all the way to Japan! 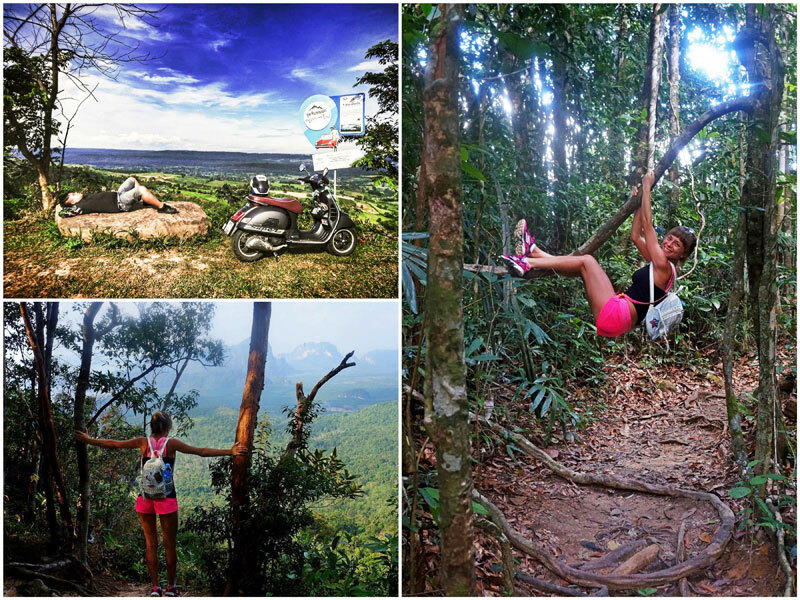 But don’t just stay for a photo or two, pack a bag and stay overnight instead. 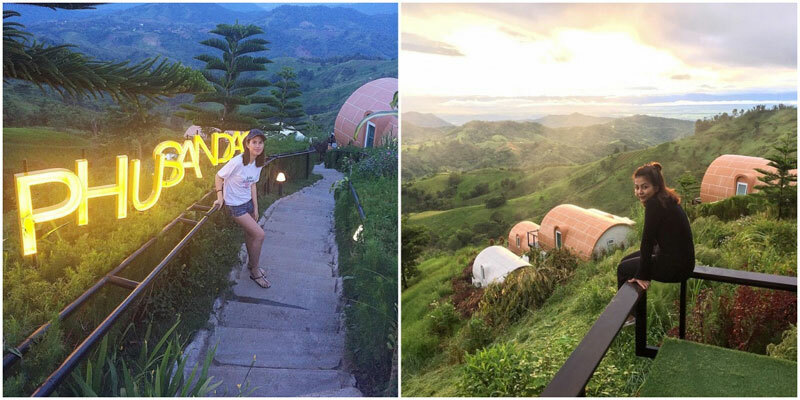 Camp out and experience what it means to be one with nature. 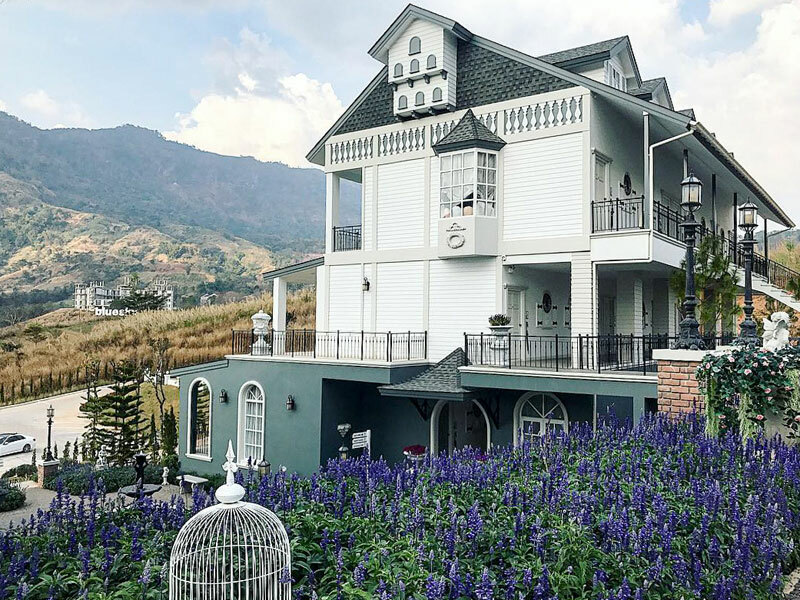 There’s no other stay that enhances Khao Kho’s European feels as much as The Blue Sky Resort. If you’re after something more luxurious, this is the one for you. Immerse yourself into an English countryside, without even leaving the continent! 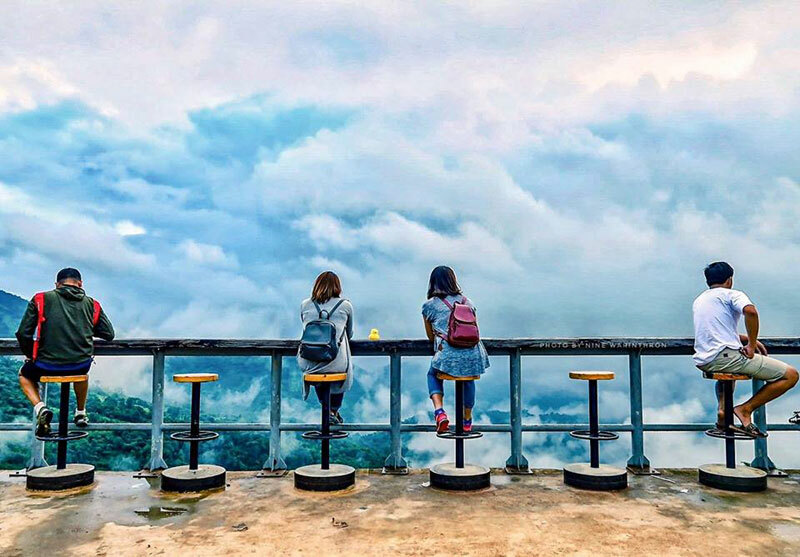 What better place to view the clouds than from high above? 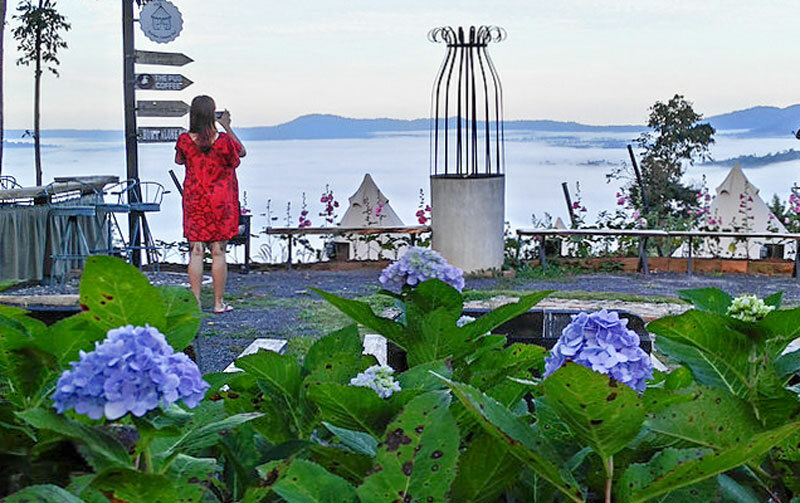 The Sense Resort has perfect views from every direction. Drink it in while having a nice wine at the restaurant, from your bed or whilst chilling in the lobby. The sights are not to be missed. 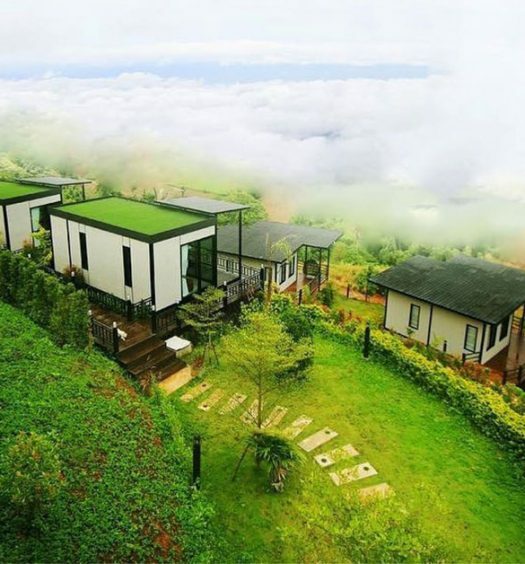 The little private villas opening up to a private platform looking over the clouds are perfect for couples. 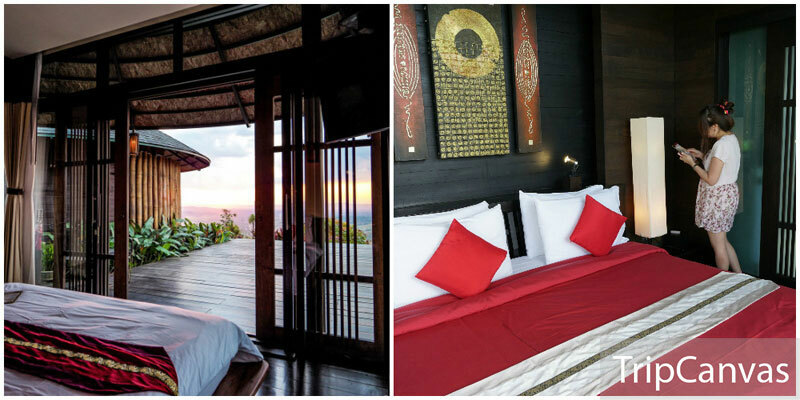 With the clean open spaces, and the romantic ambiance, you’ll want to stay in ALL DAY. 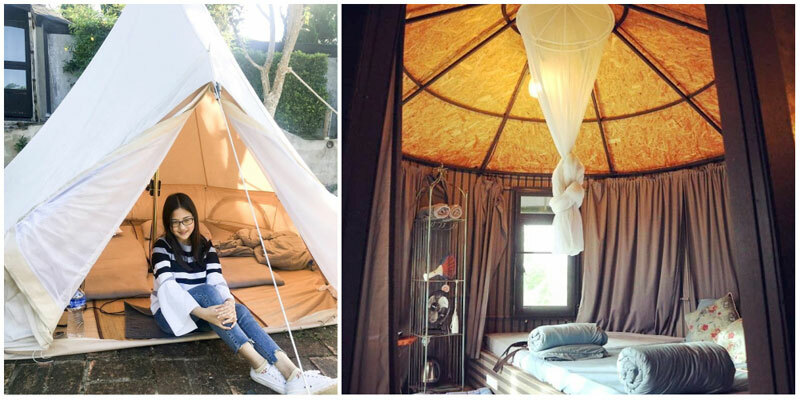 Stay in a teepee, surrounded by foliage with a view over the clouds – this is glamping in the clouds. There are a few options, but we’ve got our eye on the White Dome Tent. It’s secluded enough for comfort but not so that you’re isolated from food or human interaction. You can also get some furry time with the dogs at The Pug Coffee. Their two residents seem to be a French Bulldog and a Pug, so be on a lookout for the two. Be aware that no loud noises are allowed after 10pm, and there is a shared bathroom that has gas heating so you needn’t be worried about the cold. 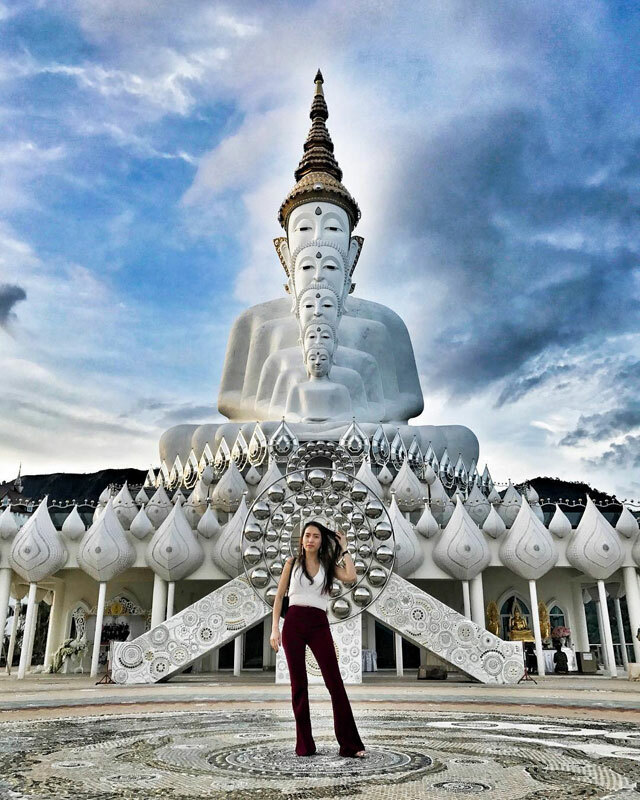 We all have that one friend who is always unexcited about visiting unique temples or monuments in Thailand – but the architectural styles found here are described as Gaudiesque and very aesthetically pleasing. 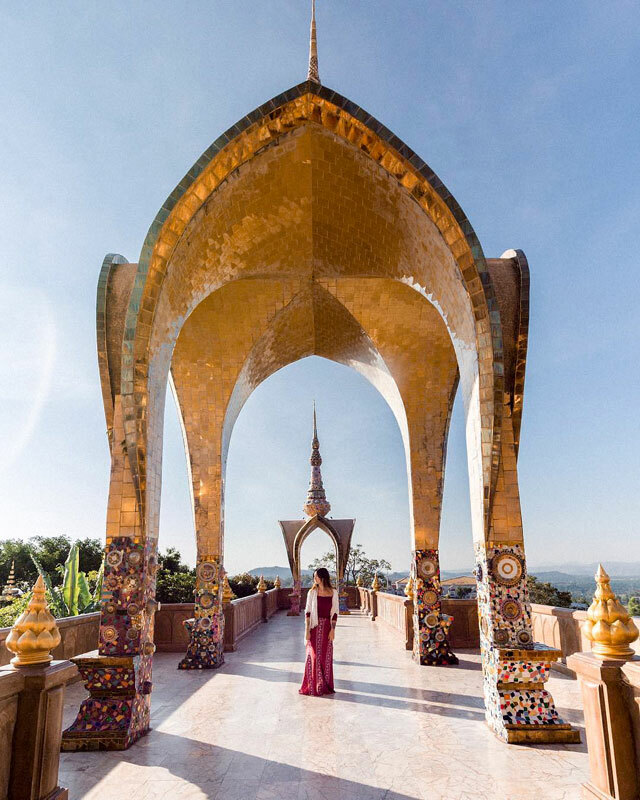 Just an hour north of Khao Kho, you will be greeted by a towering pagoda. 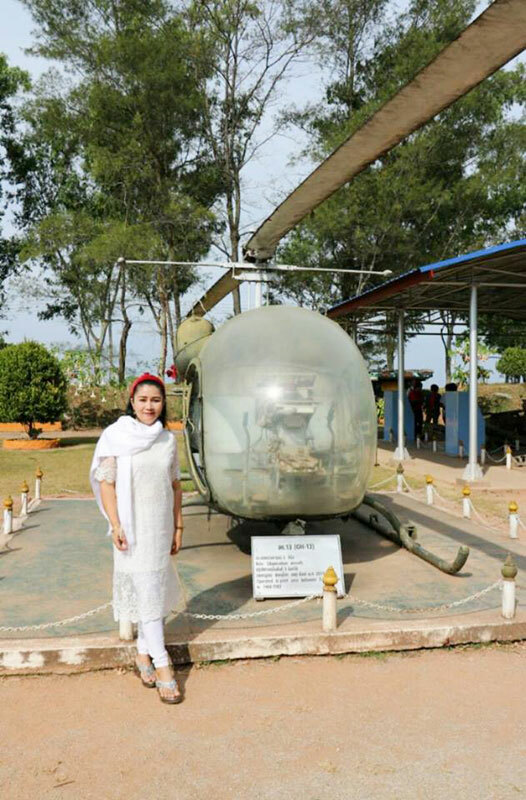 It is visited by people all around the world for its authenticity. 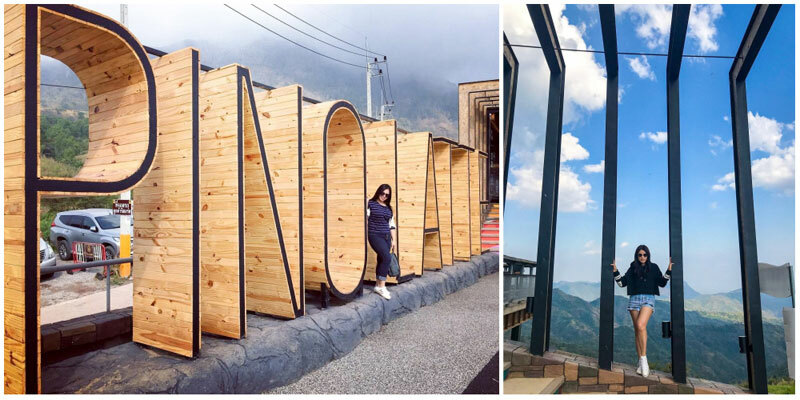 Being hidden up in the mountains does tend to put a damper on commercialization. Feeling hungry? 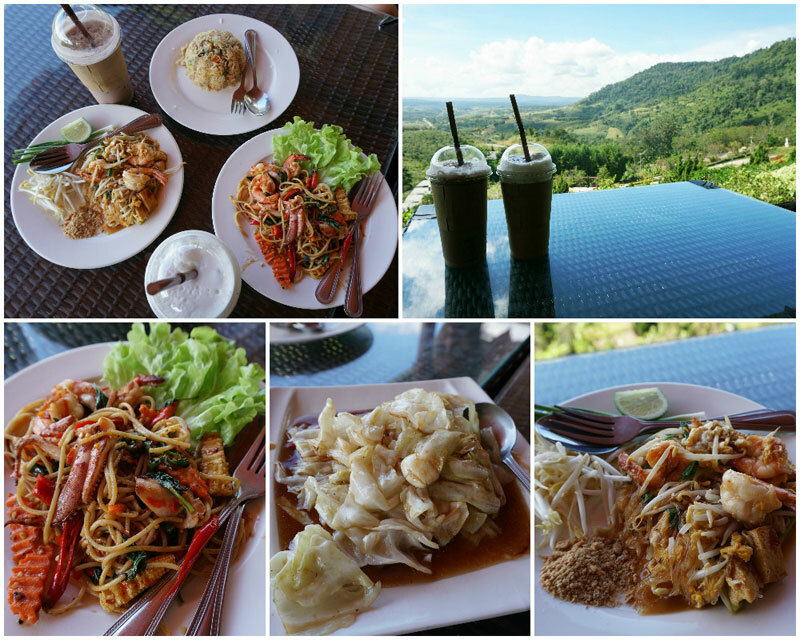 There’s no lack of good food in Khao Kho! 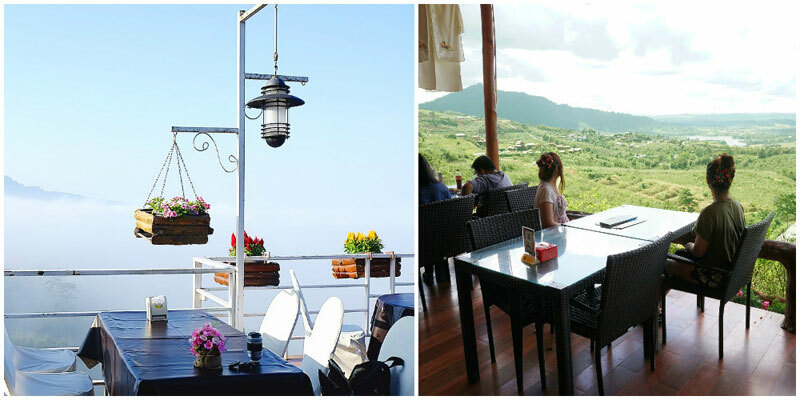 Good food and great views go hand in hand, and you’ll experience this pleasurable combination in spades at Khao Kho. 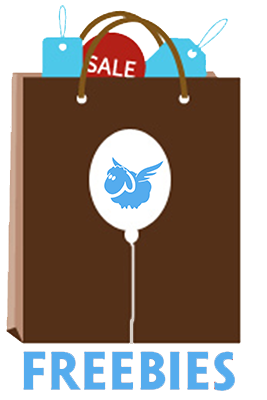 It’s TripCanvas tried and tested! 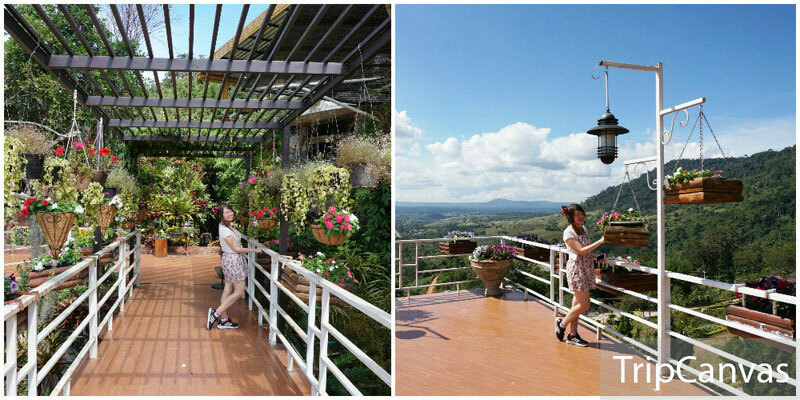 It’s like everywhere in Khao Kho offers you a brand new view and this place is no different! 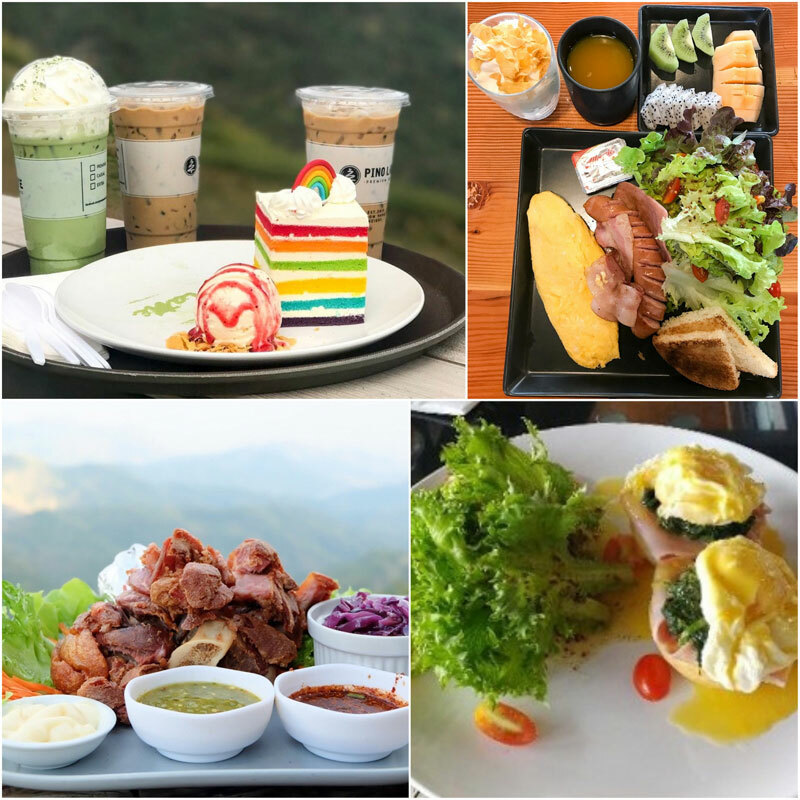 Take some nice selfies against the skyline and have a slice of cake and maybe some of those fresh vegs. By the way, we’ve heard great things about their eggs benedict. 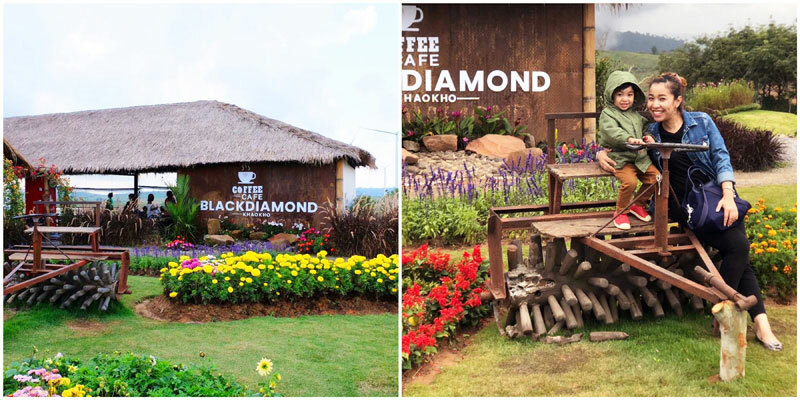 There’s a reason that this is one of the locals’ favourite places to eat in Khao Kho. 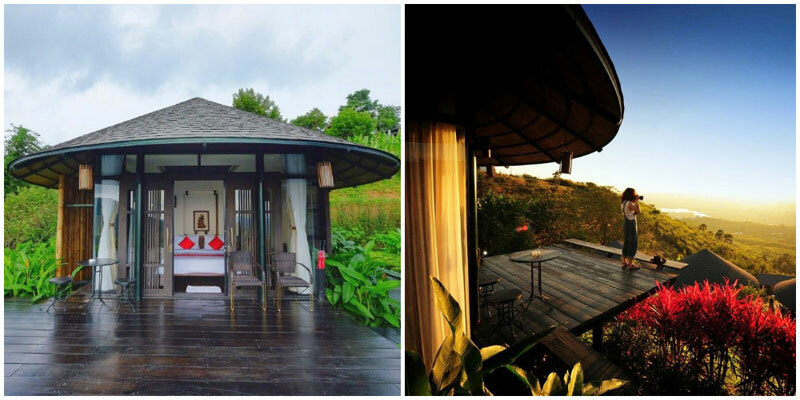 Designed like a greenhouse, being here will lift your spirits! The red curry was so fragrant, we’re hungry just thinking about it. Plus, the stir-fried cabbage here is incredible – super duper sweet cabbage like the famous Taiwan cabbage (mountain-grown produce FTW). There’s nothing quite like it, every crunch filled with mouthwatering juices. That could be because they are right next to a vegetable farm! Fancy yourself a homemade butter croissant (said in a French accent), or some fresh and delicious seared salmon? 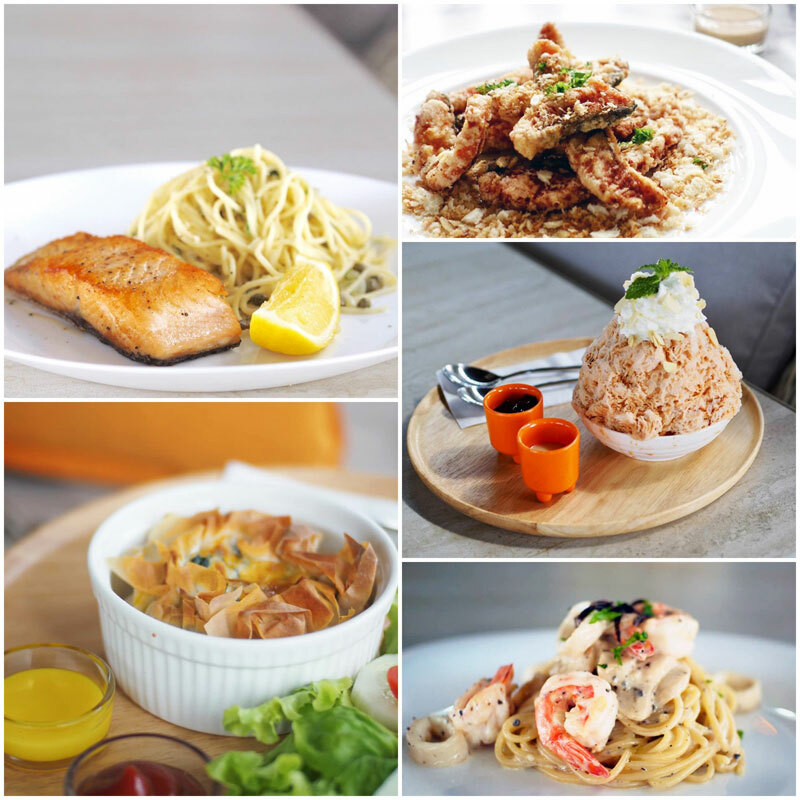 Have we got your taste-buds tingling yet? 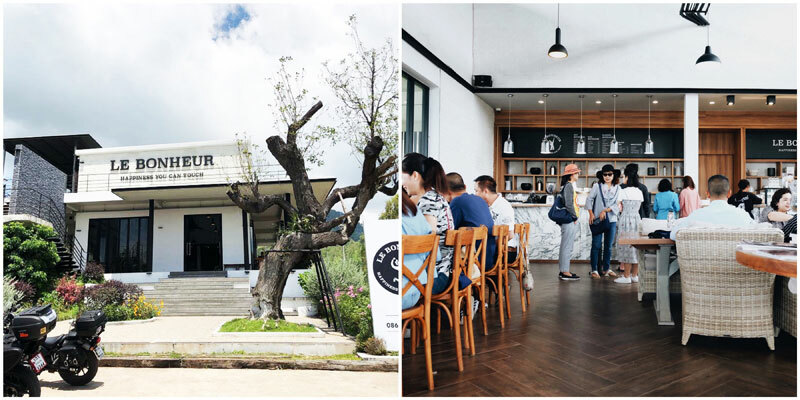 This unexpected bakery & restaurant offers a mix of French and Thai fusion foods! 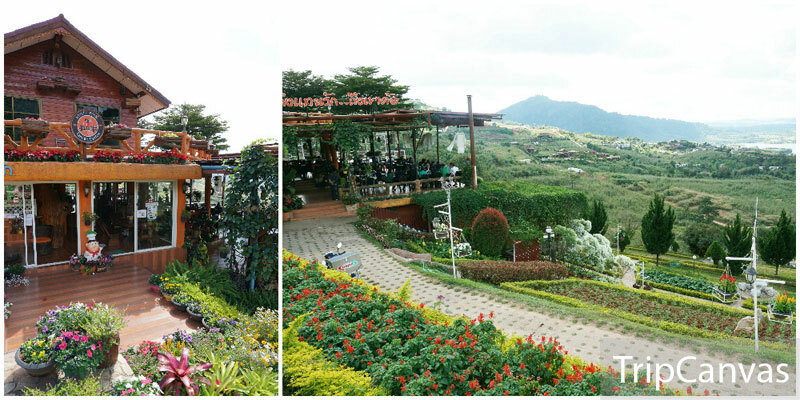 Another day in Khao Kho, another view spot whilst you fill your stomachs, and this one too overlooks the clouds. The food looks wholesome yet classic, which is typical of the French isn’t it? I love that it feels really spacious, open, and clean as well as modern and classic. 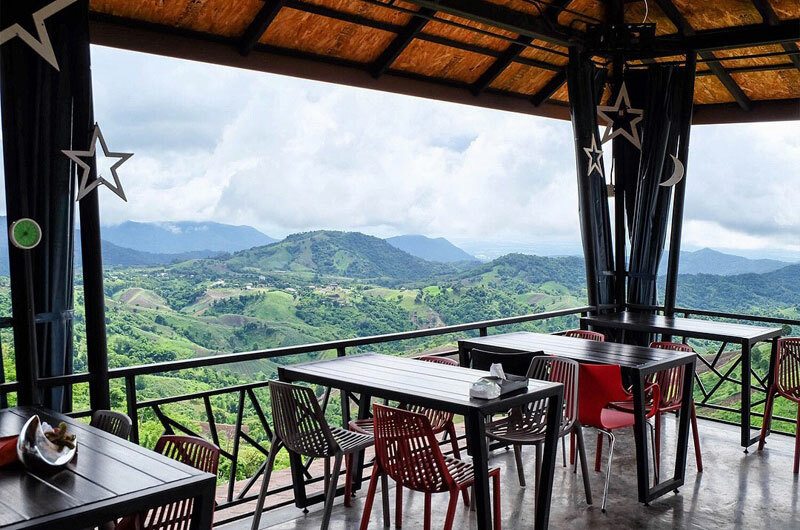 Here’s a little fun fact: Phetchabun is known for its tamarind, that sticky, dark, yummy (and really common) ingredient used in Thai cuisine. 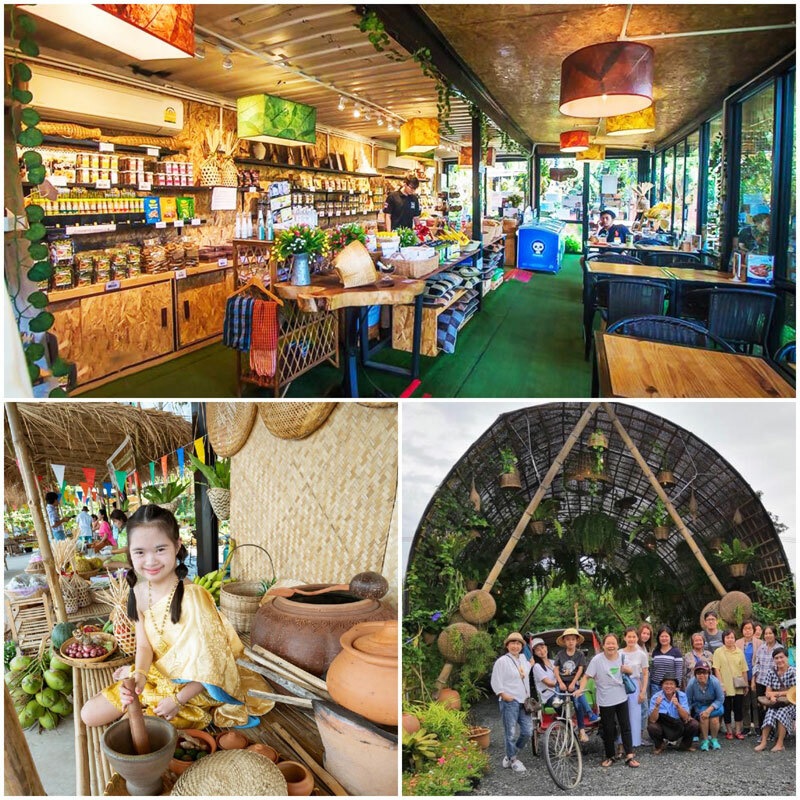 You’ll have a chance to taste delicious homemade tamarind juice, buy tamarind candies, or simply taste fresh tamarind on the spot. The tamarind here are the giant and super sweet ones that you only find in Petchabun! 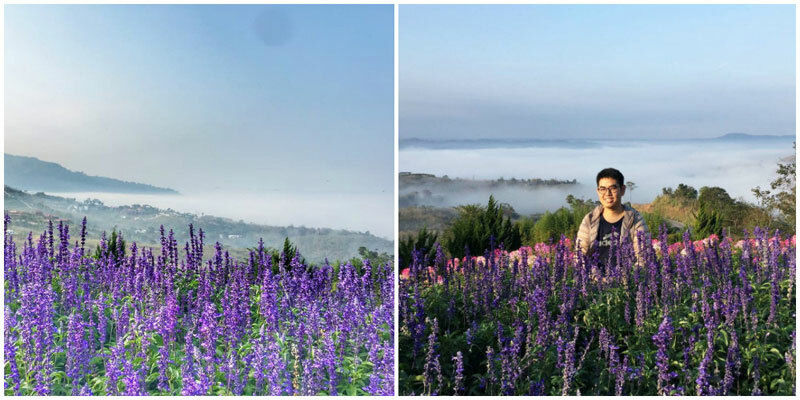 Harvesting season is from November to February, if you want to truly experience its importance to the province. 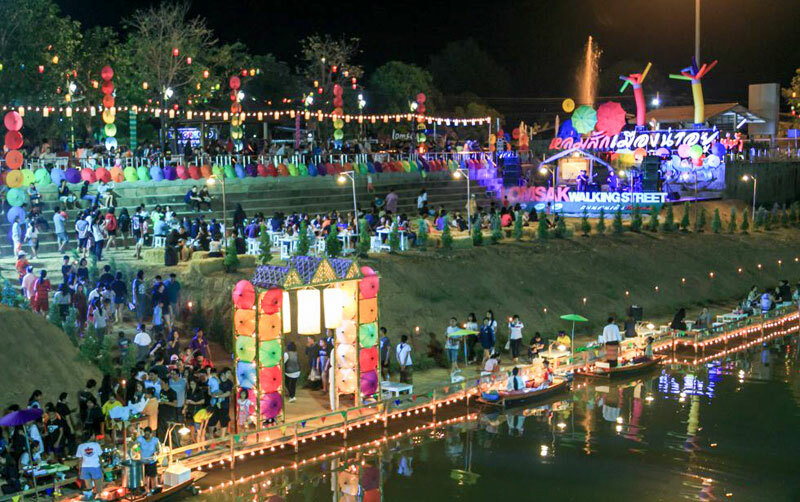 At the end of January there is even the annual tamarind fair that is held! Also, take a stoll downtown where tamarind trees flower in abundance, and look out for the many pods hanging off of trees! 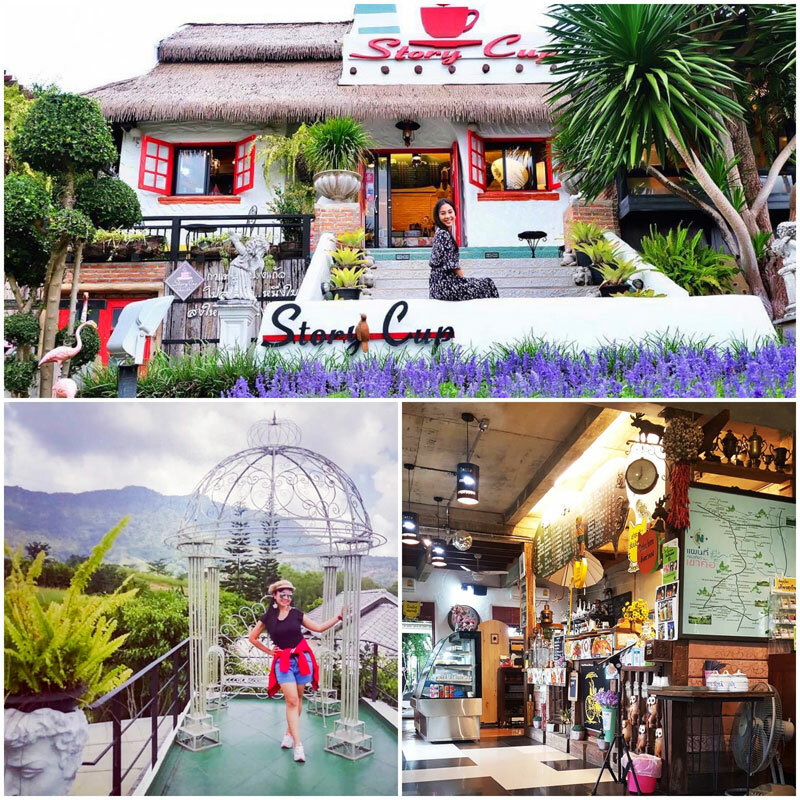 If you’re looking for the quaintest little spot to enjoy a cuppa, why not pay a little visit to this little cottage cafe. 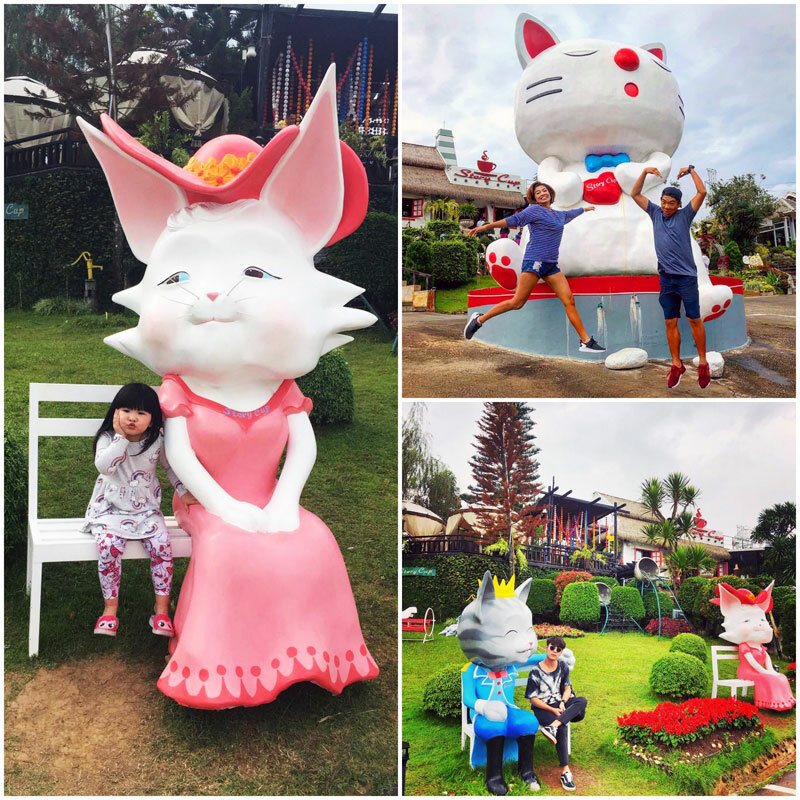 It reminds us of a garden cottage from a children’s book – and it’s even got a gigantic cartoon cat sitting all perched right outside so you can’t miss it. 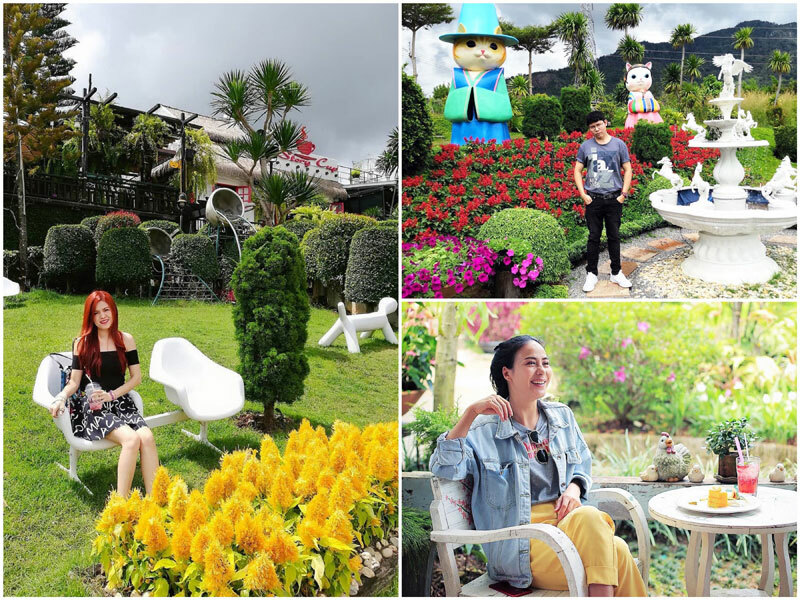 The thatched roof, colours, beautiful flowers everywhere as well as their own garden growing all sorts of flowers and herbs – really add a special touch to the place. 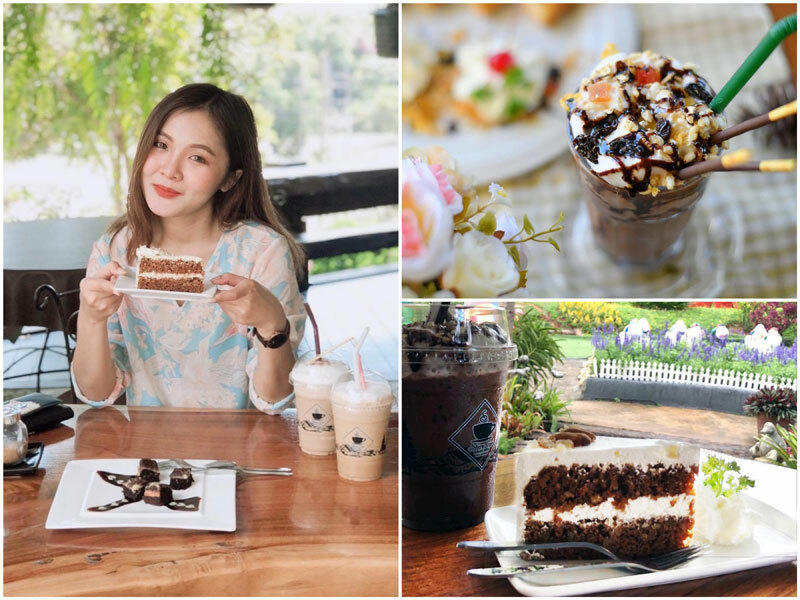 It’s perfect for a quick refill on good coffee, iced shakes, delicious cakes and and even macarons! 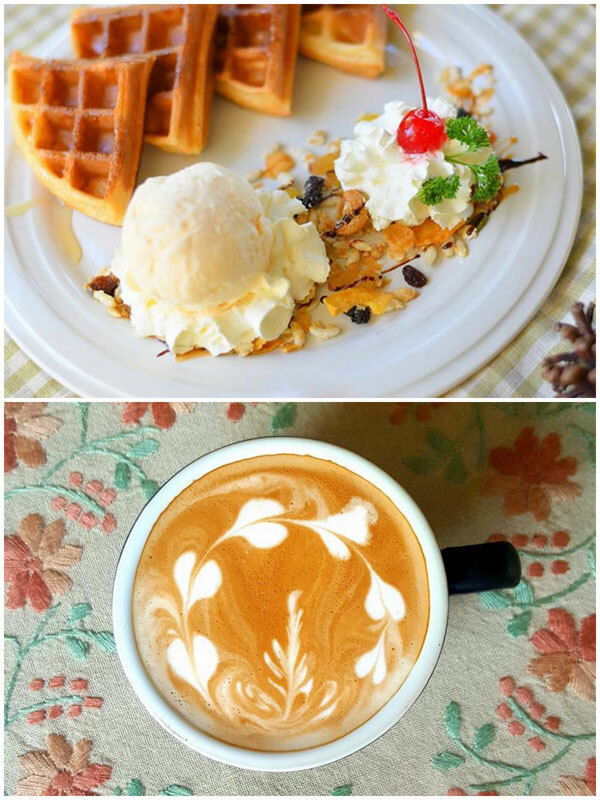 PS: Their waffles are such a good combination of golden and crispness, yummm! 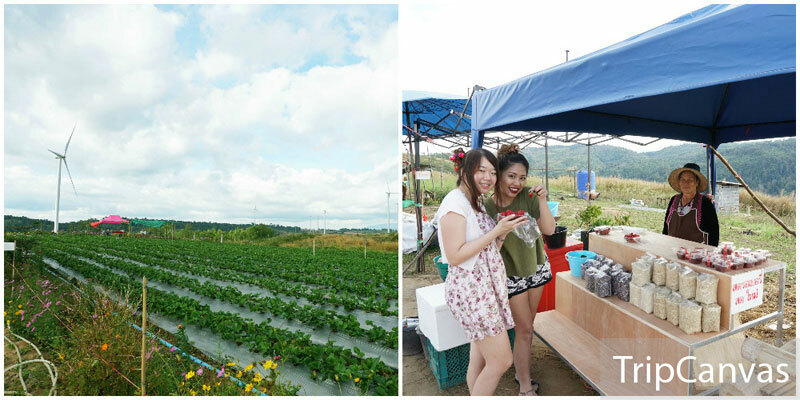 If you’re lucky, you’ll see fields of strawberries ripe for the picking. 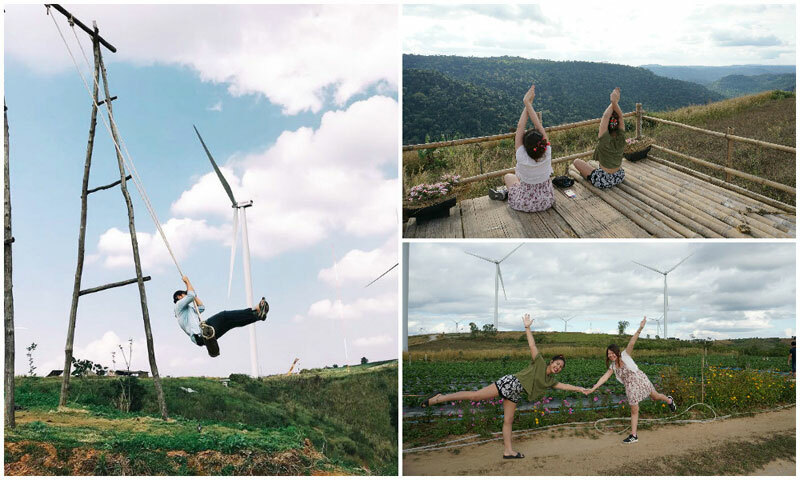 But even if you don’t, the 24 windmills are a sight to behold – making it one of the top local attractions in Khao Kho. 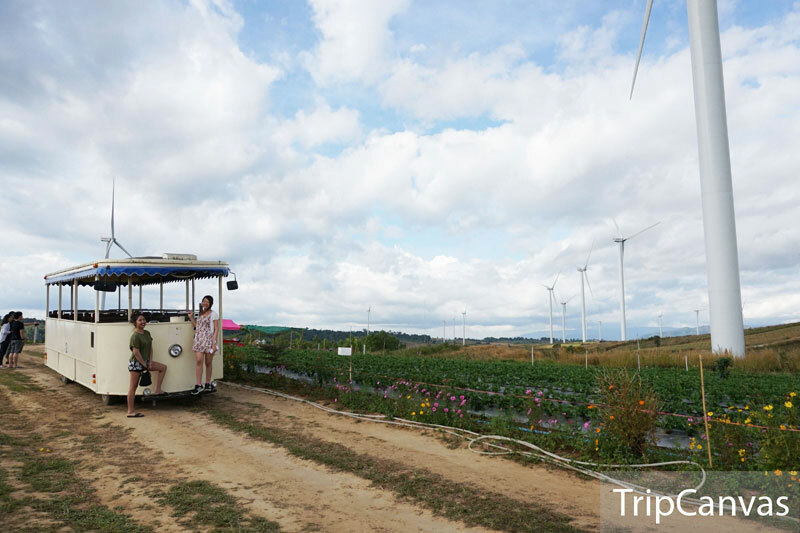 There’s a rustic tram that you can catch, which will take you all over the huge farm. 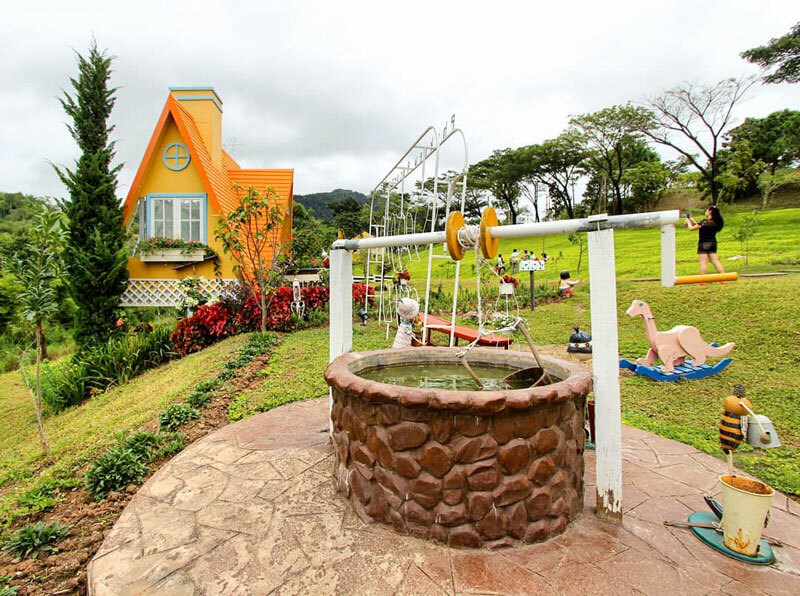 They also have giant swing set to bring out your inner child. 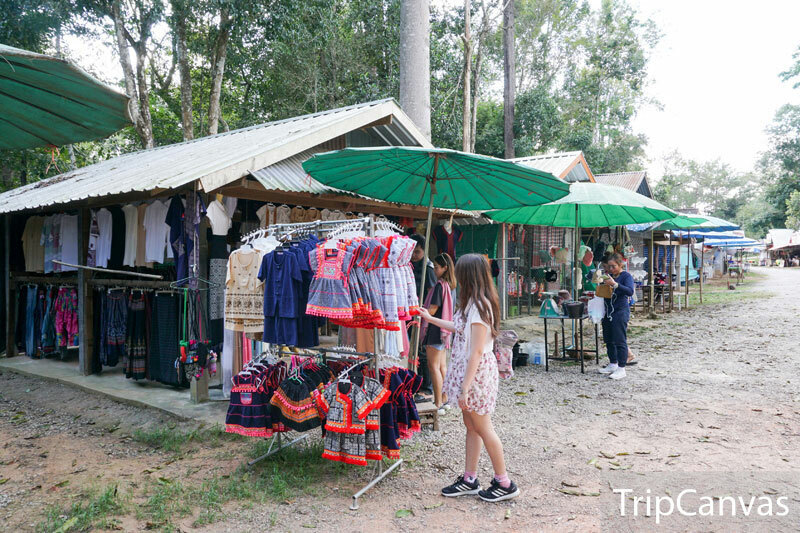 Apart from that, you’ll be able to find authentic wear and souvenirs crafted by the locals in the village too. Ready for this one? 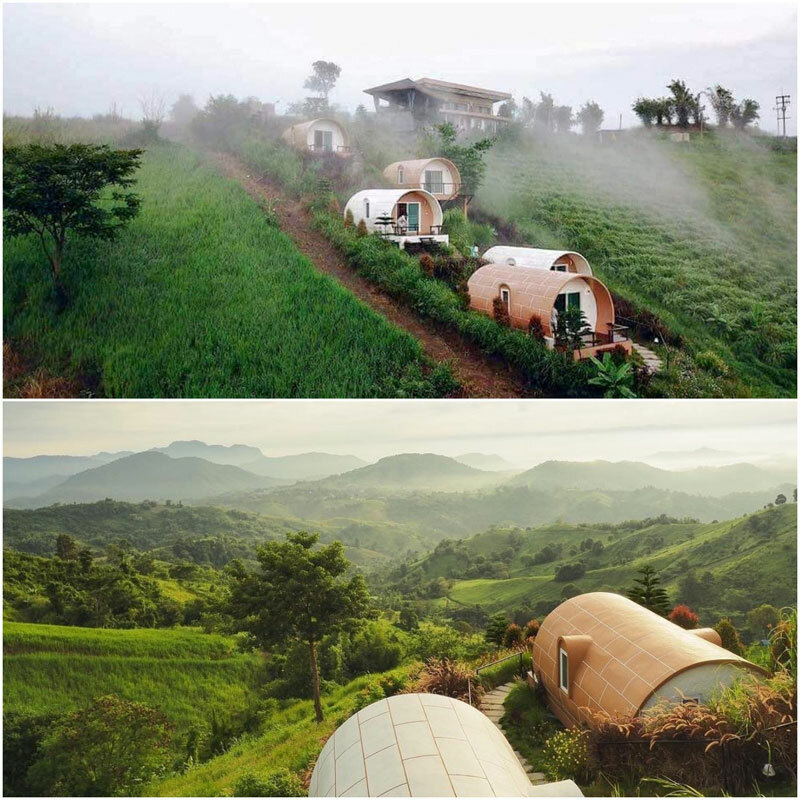 It’s a……..tellytubby cafe, as well as a little resort if you’re looking for an overnight stay. Your kids, or your 5 year old selves, will simply smile with glee as you get to pose next to your favourite tellytubby! Mine was Lala! 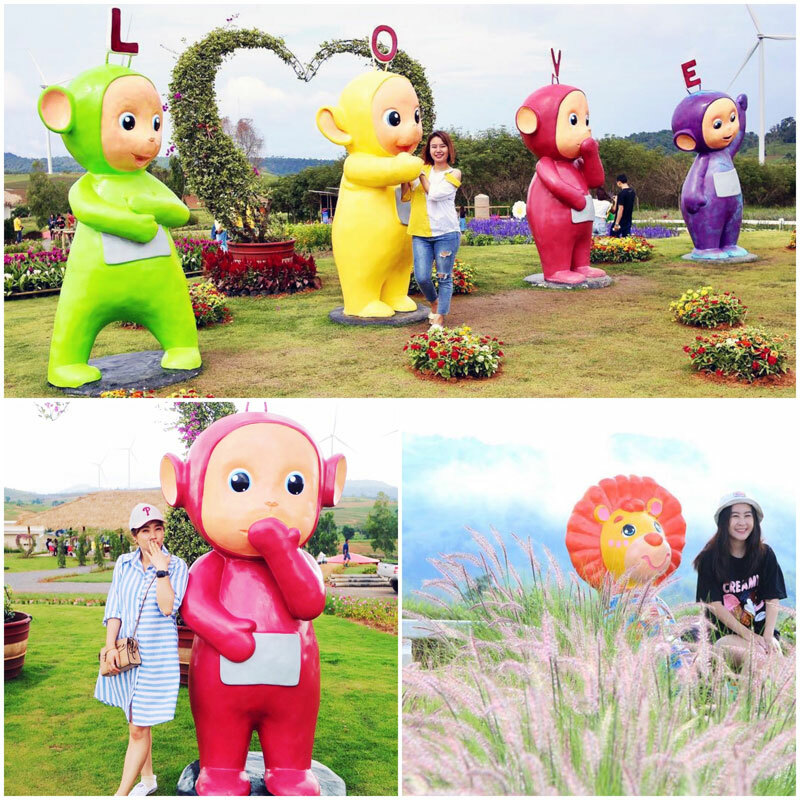 The colourful garden is the cutest thing ever, with other garden figurines and beloved cartoon characters scattered everywhere. It’s the perfect excuse to take a million photos (the 70s rainbow VW is my favourite) and enjoy a refreshing juice whilst you’re at it! If camping is right up there in your list of favourite to dos, you’re going to jump from the mountaintops… Or if you simply like to be outdoors, I’m sure you’ll enjoy this one too. 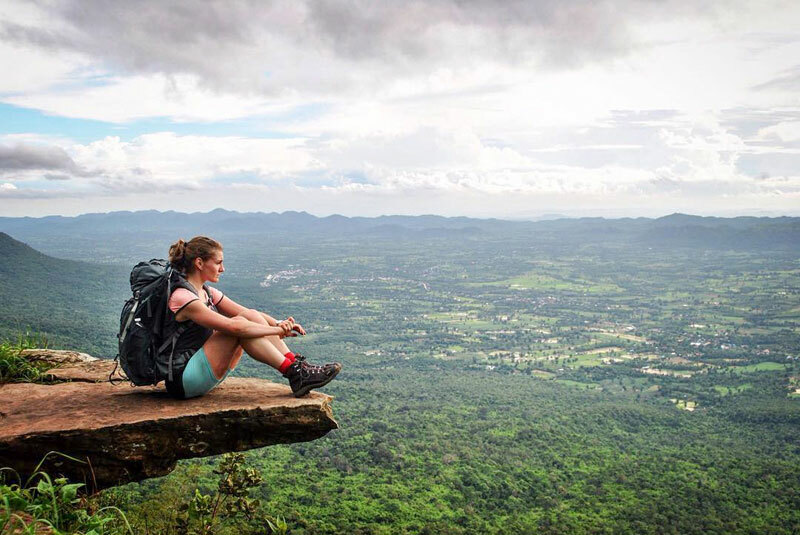 This is a viewpoint AND camping grounds, so spend your day (and night) doing something a little different. Can you imagine the sunrises?! 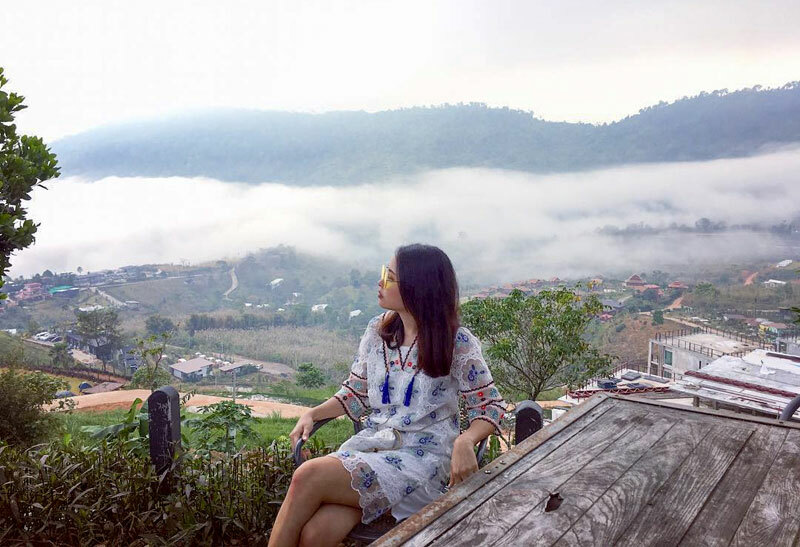 From Khao Ta Kian Ngo, you can see Khao Pu and Khao Ya which looks like Mount Fuji that’s why its named as Mount Fuji of Thailand. 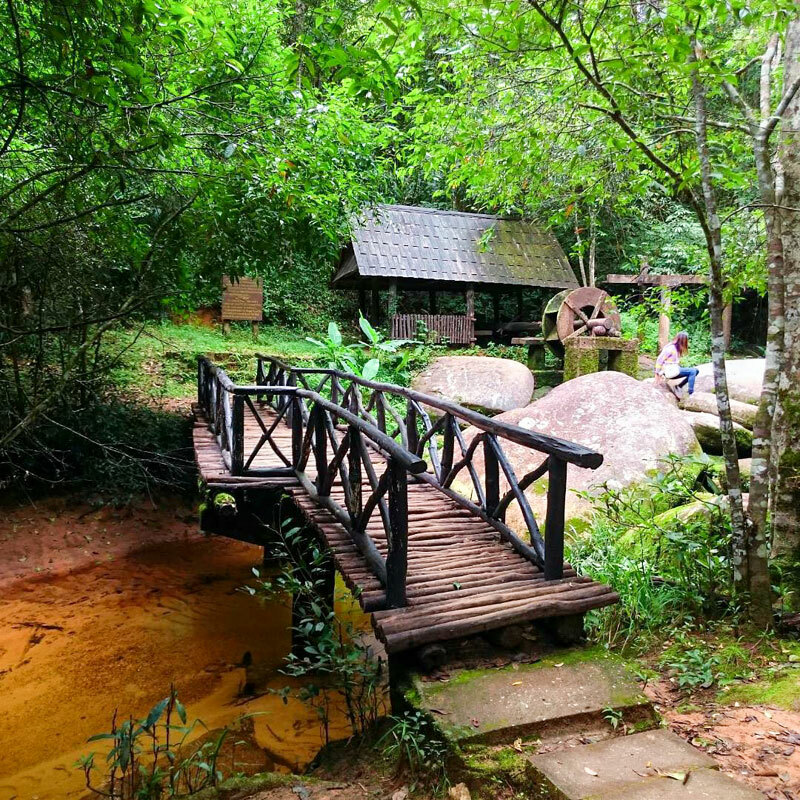 This spot is not overcrowded, which is a bonus for both exploring and camping reasons. 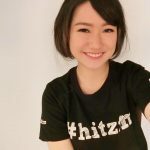 PS: In the rainy seasons it gets extra foggy here, and do be careful when driving through, it’s intense! 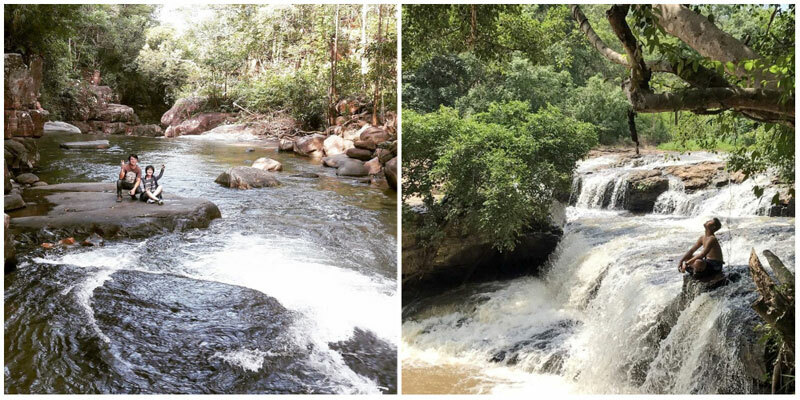 Scale the waterfall or kayak downstream, an hour away from Phetchabun. 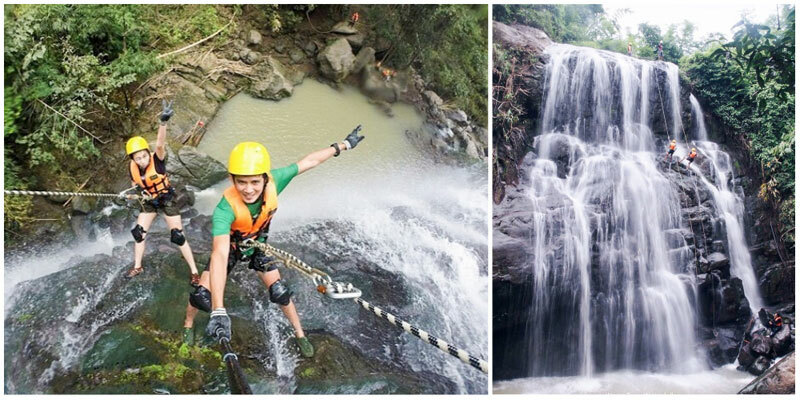 For the faint of heart, take a left at Wang Tum waterfall to view the rappellers. 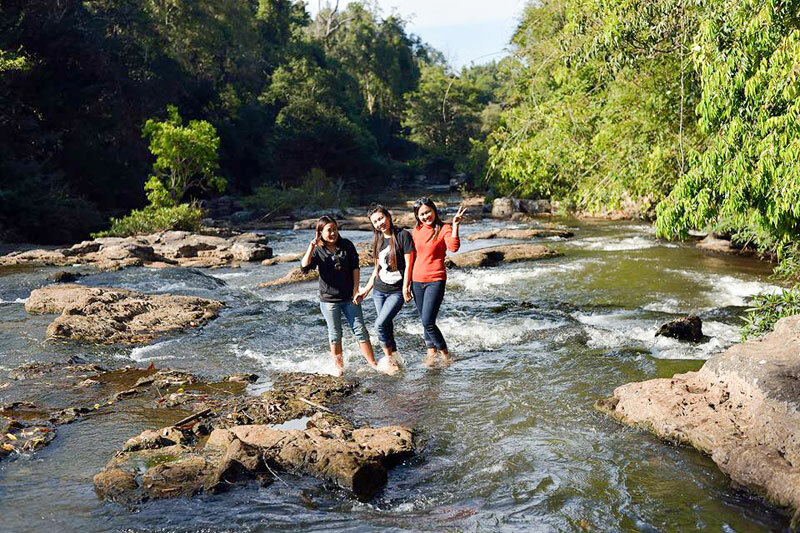 Or you can go for a trek, take a dip in a large pond at the base of Than Thip waterfall or go rock sliding! 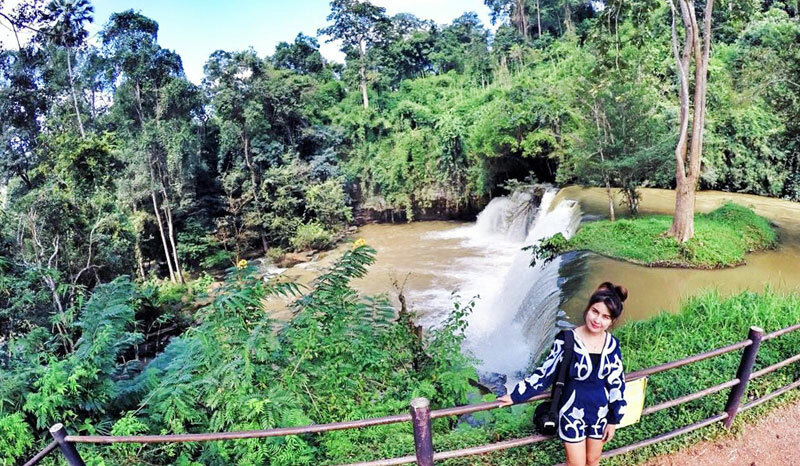 Save Pha Lat Waterfall for those who love knee-wobbling heights. Untouched by tourism, it has been called ‘Switzerland without the snow’, and if you’re up for it, you can camp here and explore the park. 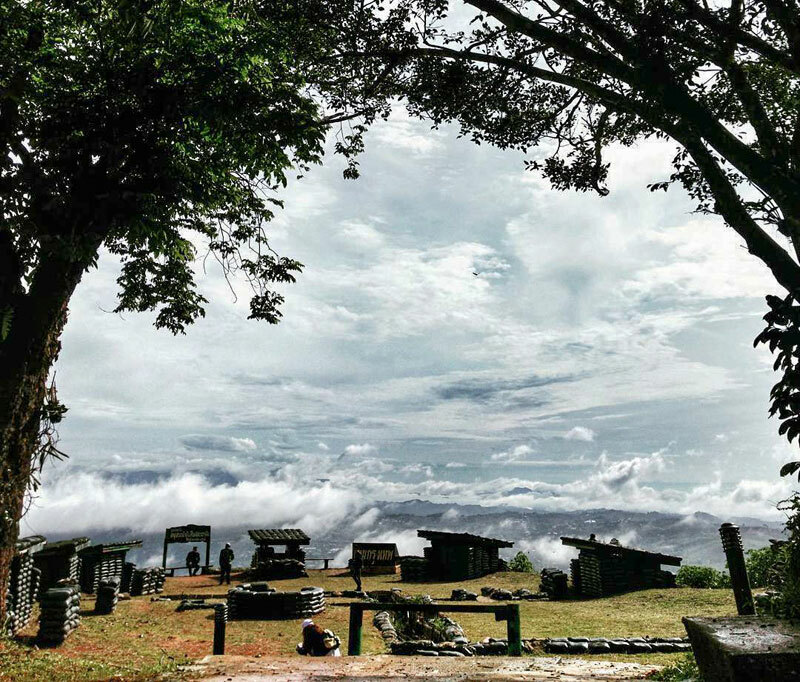 Two hours away from central Khao Kho is a national park which was a stronghold for guerilla warfare in the 70s. 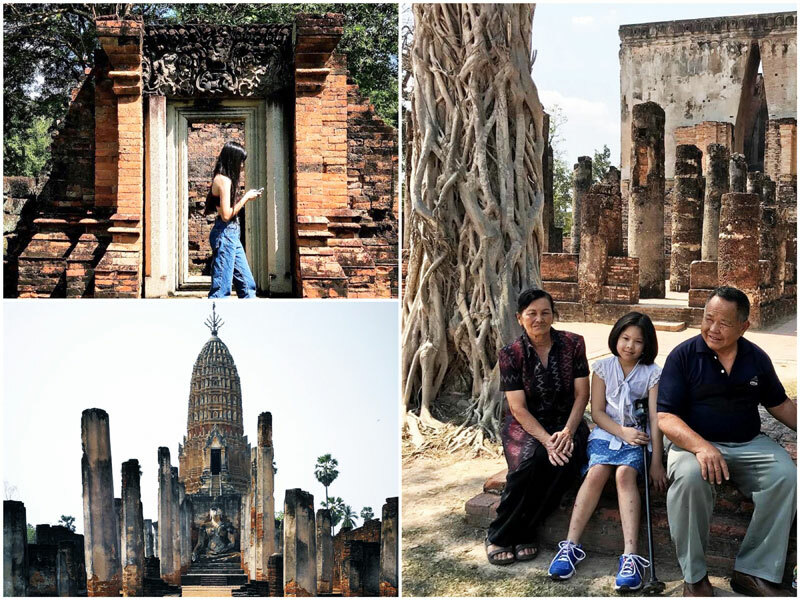 You can still walk through its camps and see for yourself where the kingdom of Siam was liberated from communism. 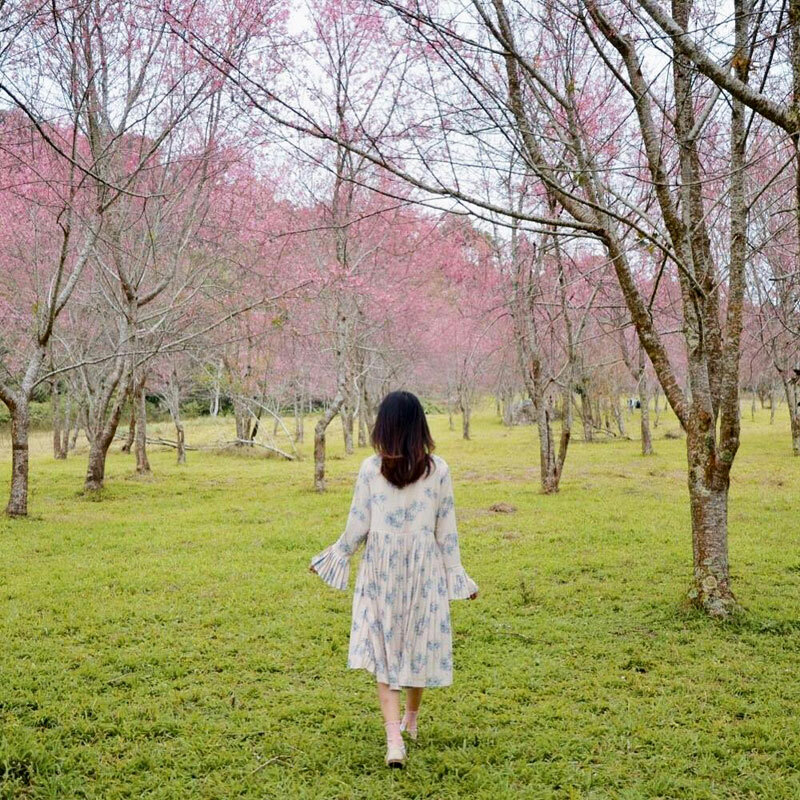 The park itself is a wonder to behold, with refreshing terrain such as the rocky plains and sakura blossoms. There’s no shortage of places to explore here. Along the way, you will even pass by a mini tribute to the past presidents of America. (Such a bizarre thing to see in a random place like that!) 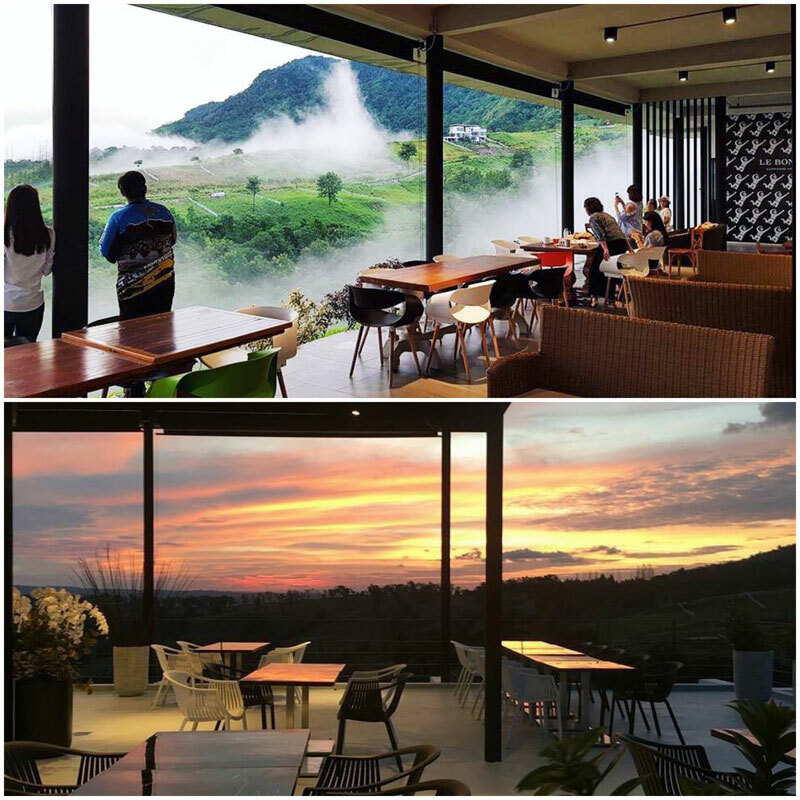 Cafe Rushmore is located at Breeze Hill Hotel along Highway 12. 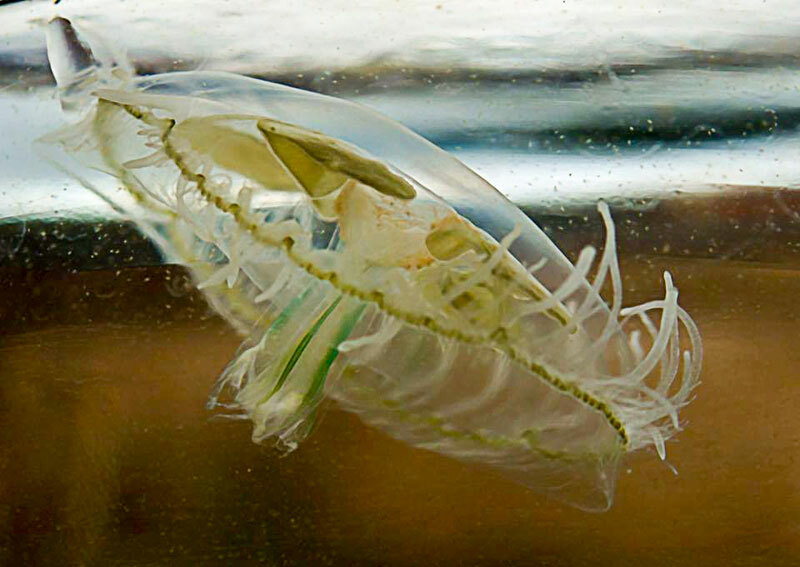 Freshwater jellyfish? Is there really such a thing? 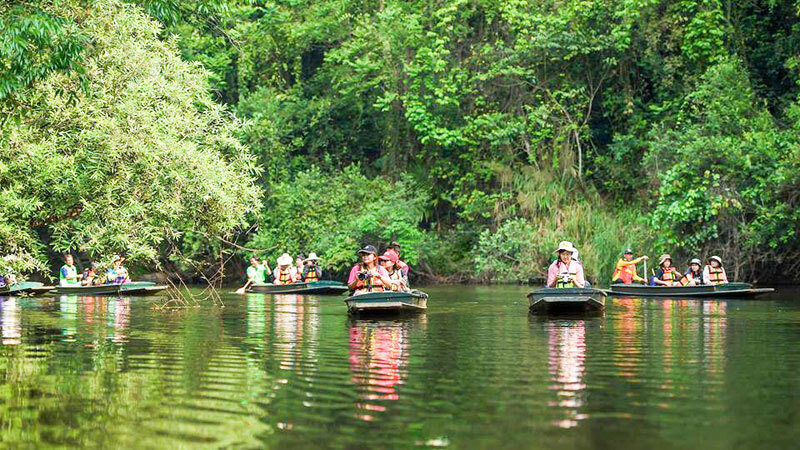 Be surprised as you float along this river looking at fluttering butterflies and freshwater jellyfish. 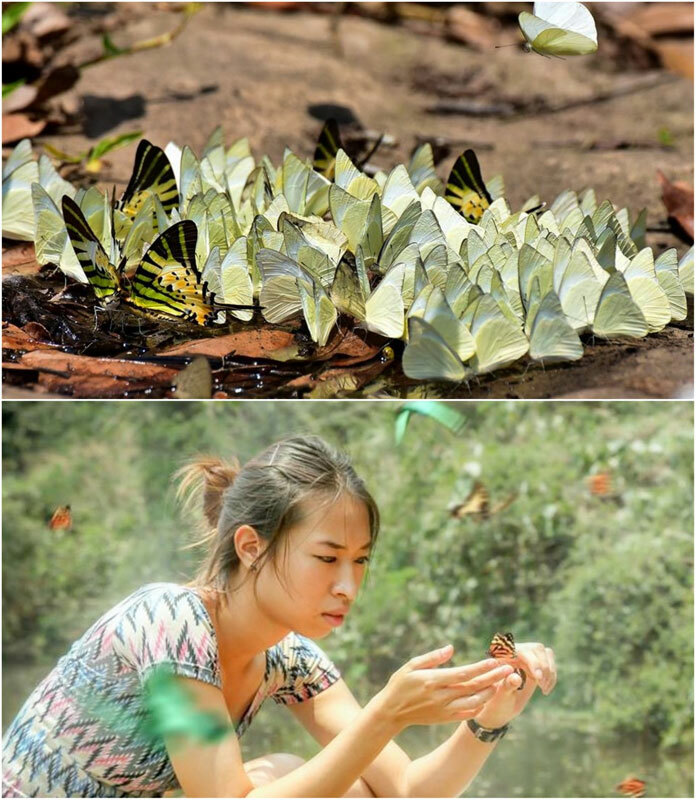 The best time to spot them is during the summer months, from March to May. If you’re lucky, you might spy a wild elephant, deer or bison taking a drink of water too! 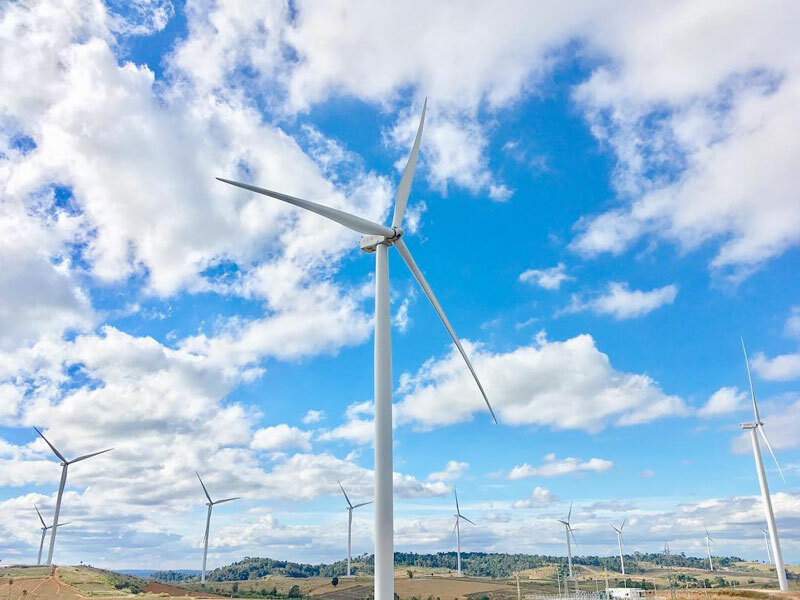 If you’re adventurous enough to venture into what looks like a ghost town, you will be greatly rewarded with these sights. Old and forgotten structures, frozen in time and overtaken by nature. With the fog, it can get pretty creepy indeed. 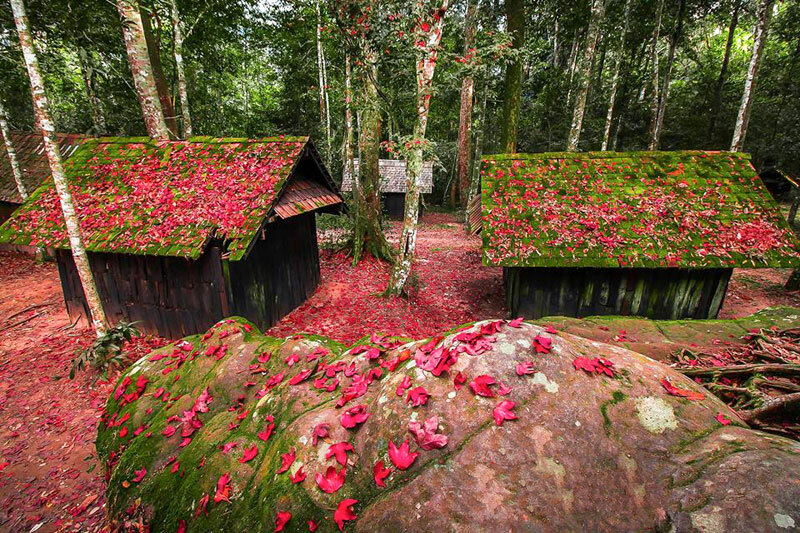 But November through February will see maple leaves falling gently, like a scene out of a whimsical fairytale. 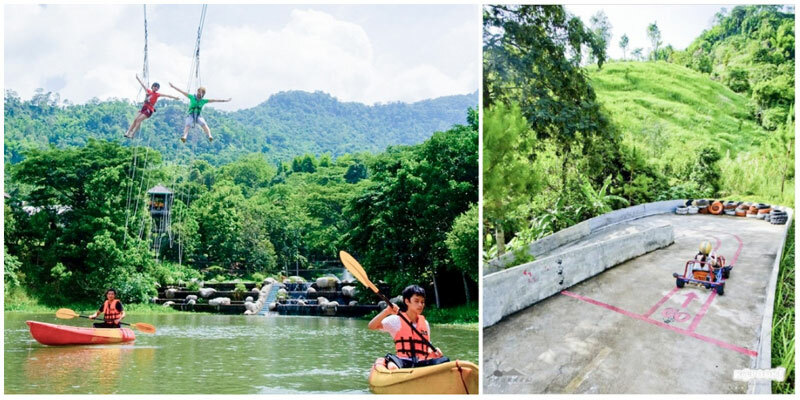 Just 48 minutes away, there is a resort that will satisfy the adrenaline junkie’s rush! Or maybe you’re just really active. 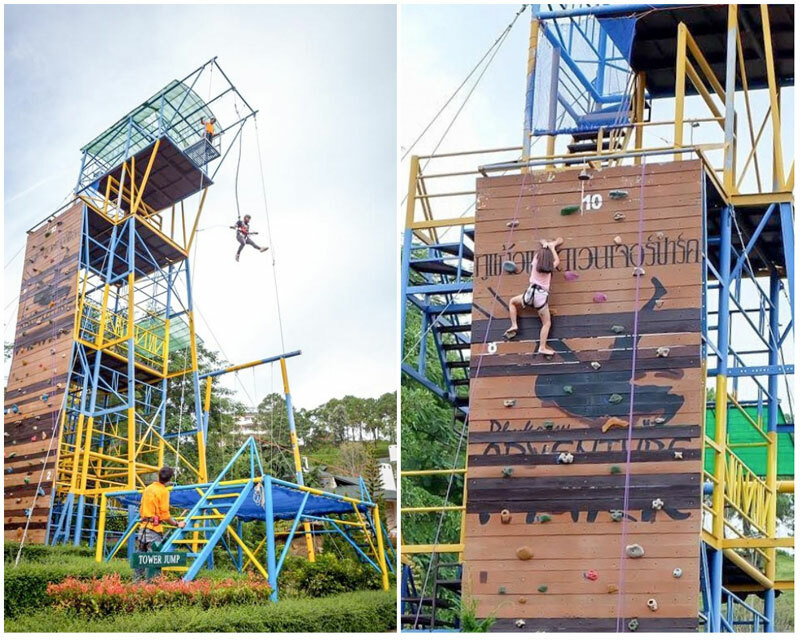 Giant swings on cliffs, bungee jumping, white water rafting, go karts, rock climbing… Seriously the possibilities are endless. 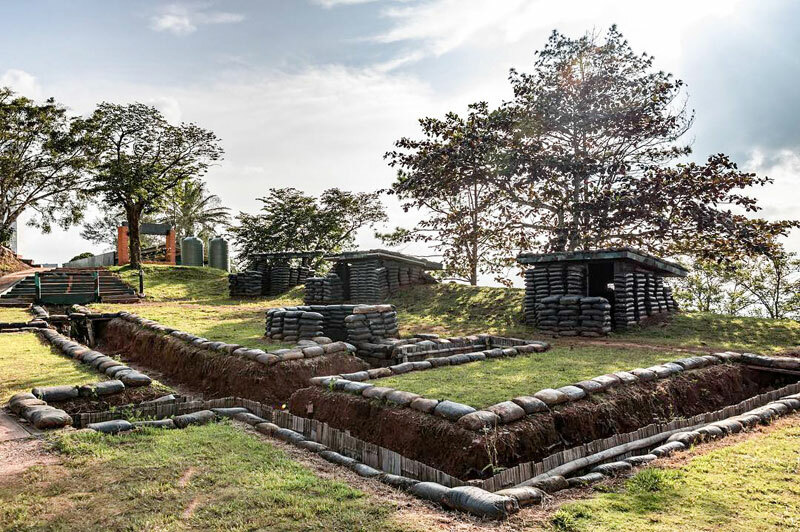 If you’re not up for anything too extreme, there is an archery range and obstacle course (among other things) for you to try your hand at. Right you are. 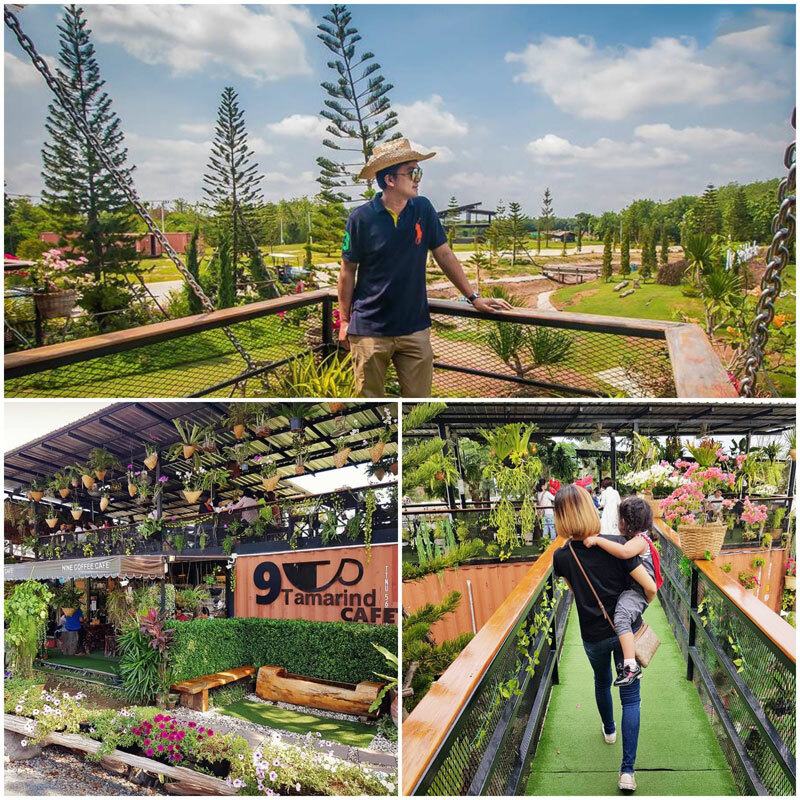 Make your way to this farm established back in 1969! 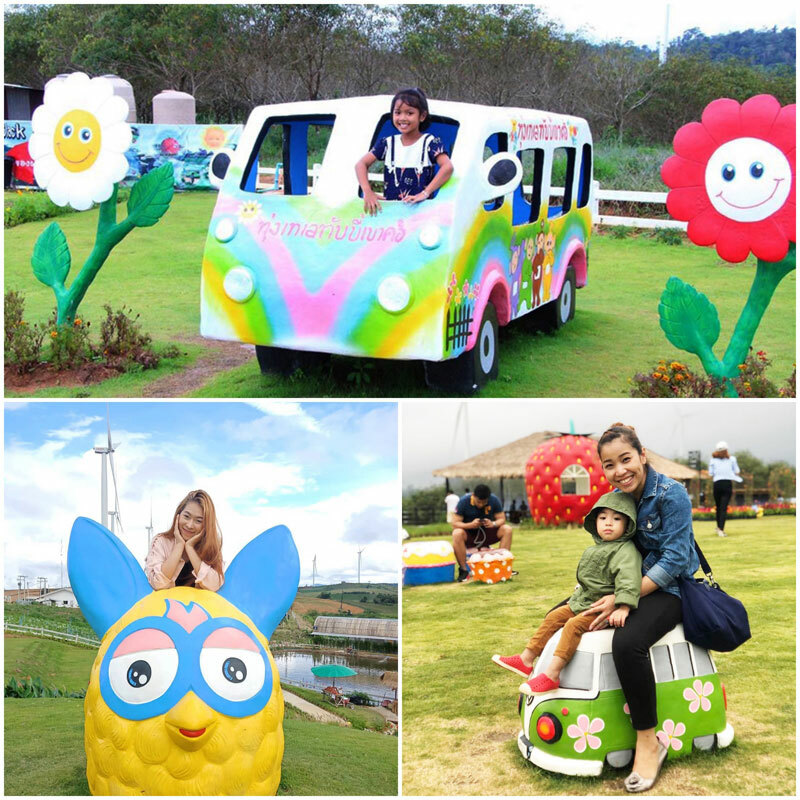 They are also praised for their homemade ice cream and fields of flowers. However, do bear in mind that as the seasons change, the quantity of fruits or flowers will change right along with it. 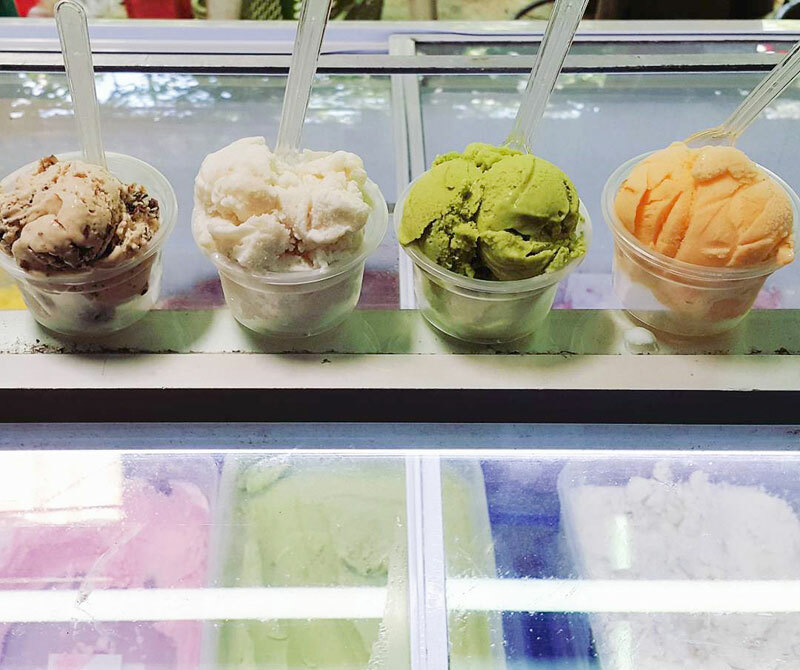 Seasonal fruits include lychees, persimmons, australian avocadoes and more. 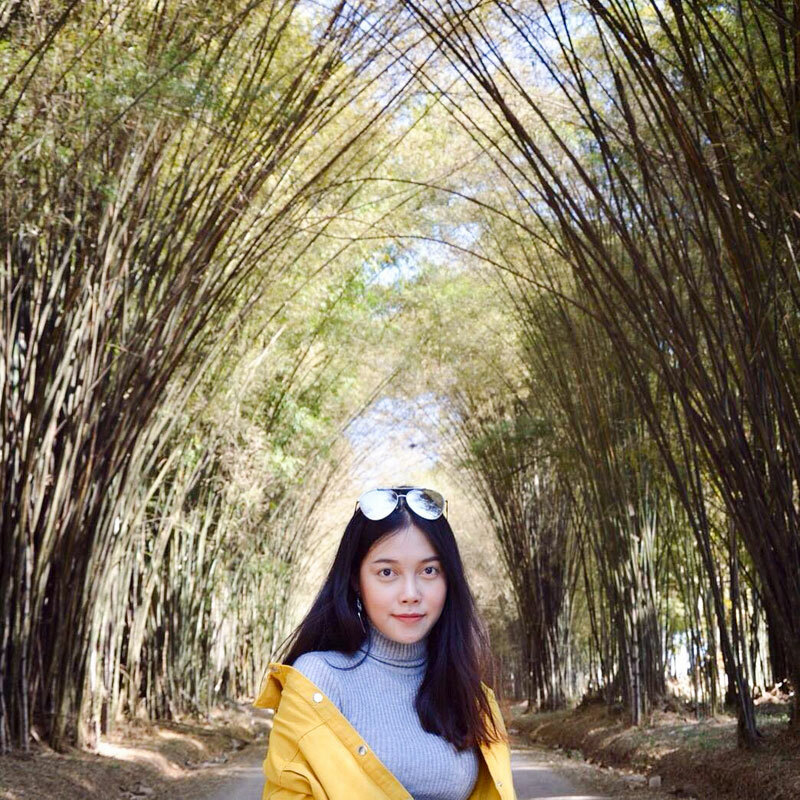 The bamboo entrance is picturesque and worth a visit too! 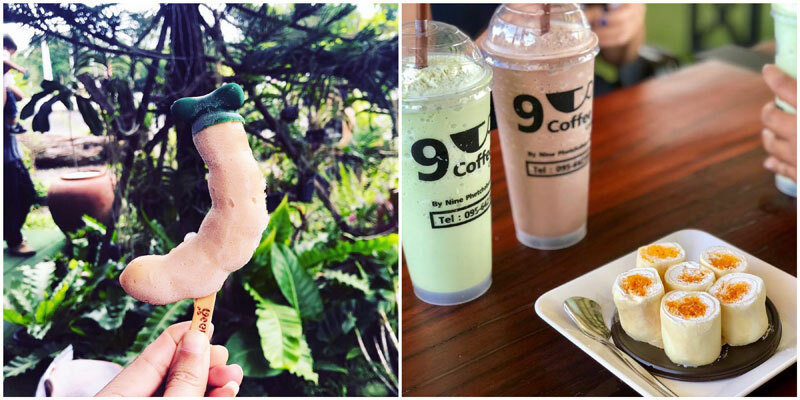 PS: We hear the lychee icecream is a must-try! 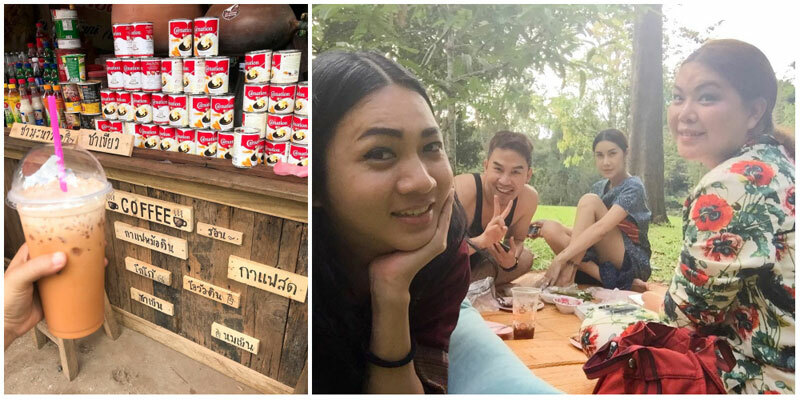 It wouldn’t be Thailand if it didn’t have a market now, would it? 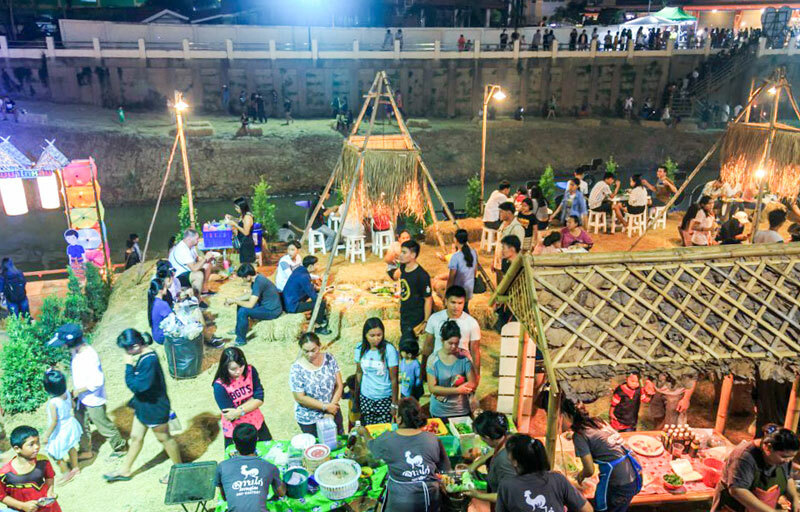 Prepare your belly for a feast of street food, snacks like fried dumplings on a stick, sio bees, jellies the colors of a rainbow amongst other local Thai food. You can find it along the street or from the boats bobbing by the river. 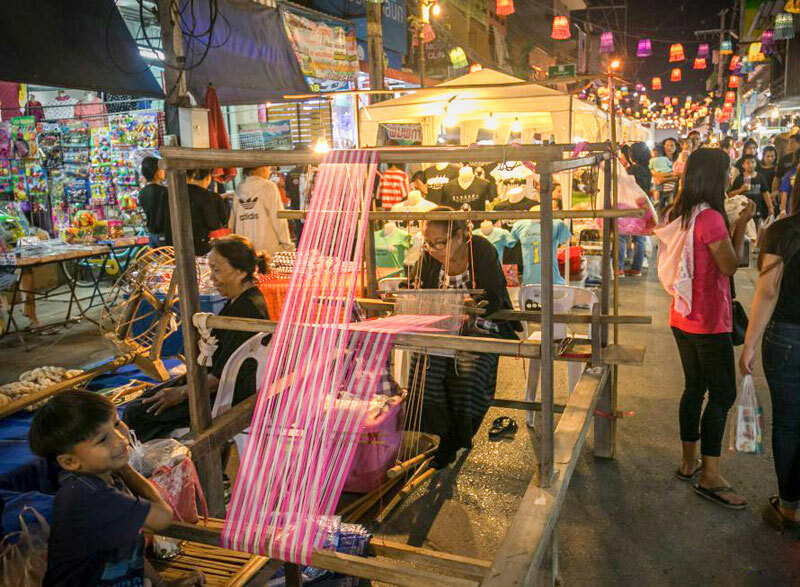 Arts and crafts are abound and you might even pick up a Hmong souvenir or two! Plus, there’s a nice auntie with a loom, weaving in the middle of the street! 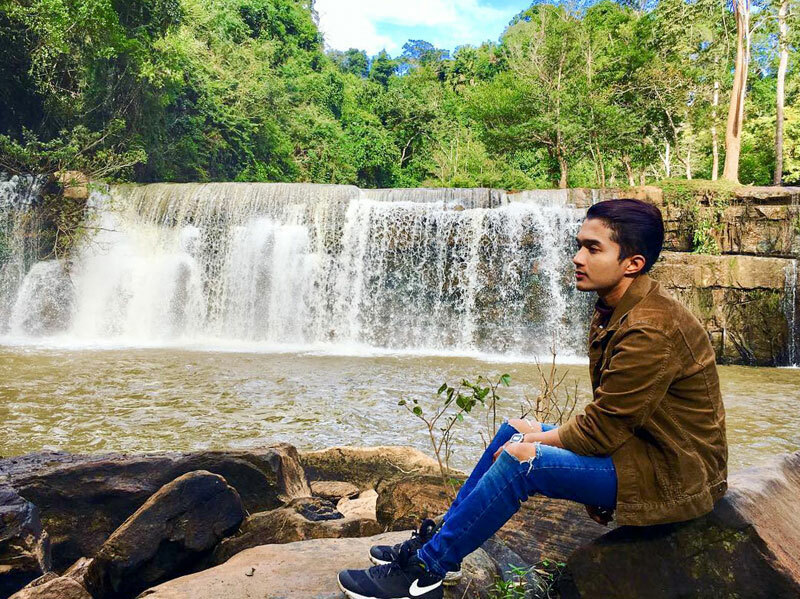 This is another hotspot, which isn’t like any other waterfall. It’s lined with simple stalls, for one. 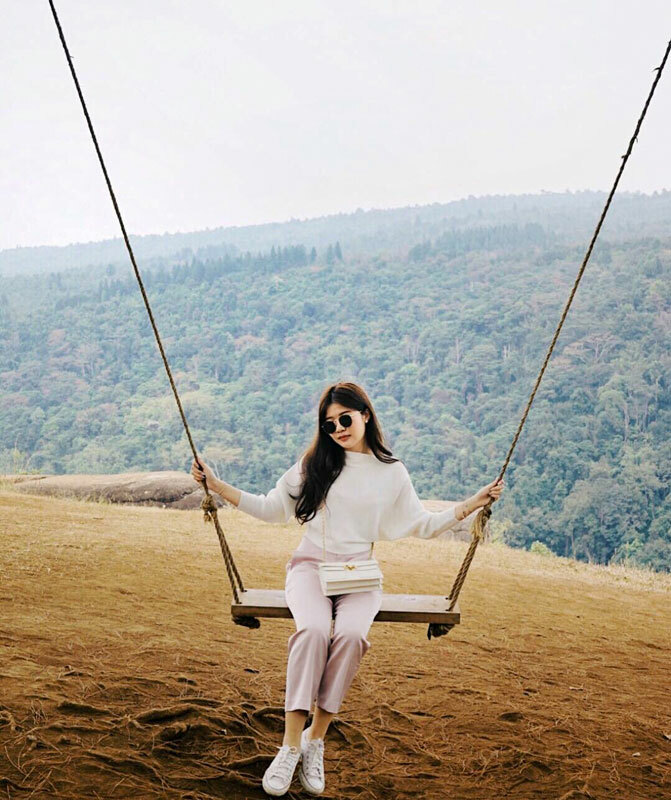 There’s no need to worry about snacks or meals – as you can easily grab a quick snacks like roasted sweet potatoes and boxes of sweet strawberries here, and be all set up for a picnic. There are unique tribal clothing here that are strangely familiar. Perhaps a little similar to the Mongolians or the Ibans from Malaysia? But rest assured that these are lovely wares from the Hmong Hilltribe. 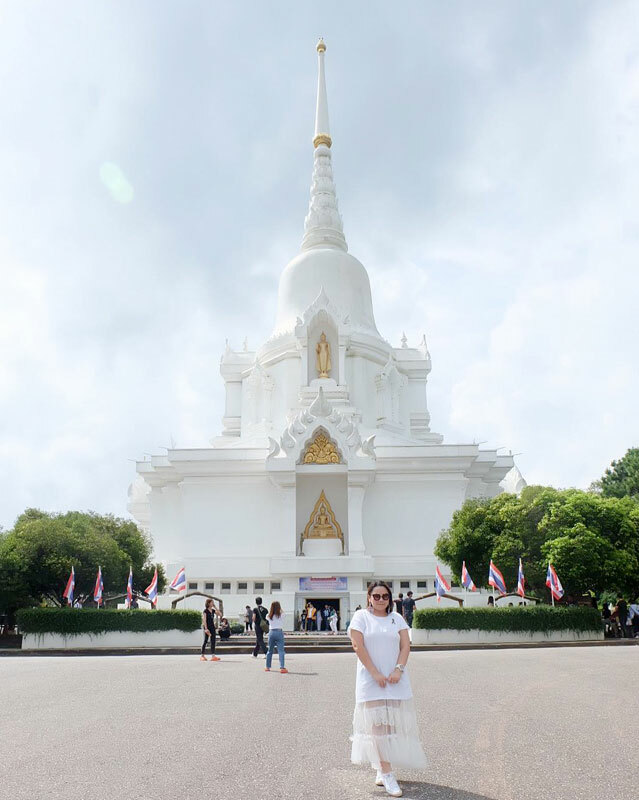 For those not willing to travel for a temple or who just love visiting interesting places of worship nonetheless, you may pay homage at Kanchanapisek Pagoda which has ties to the royal family. 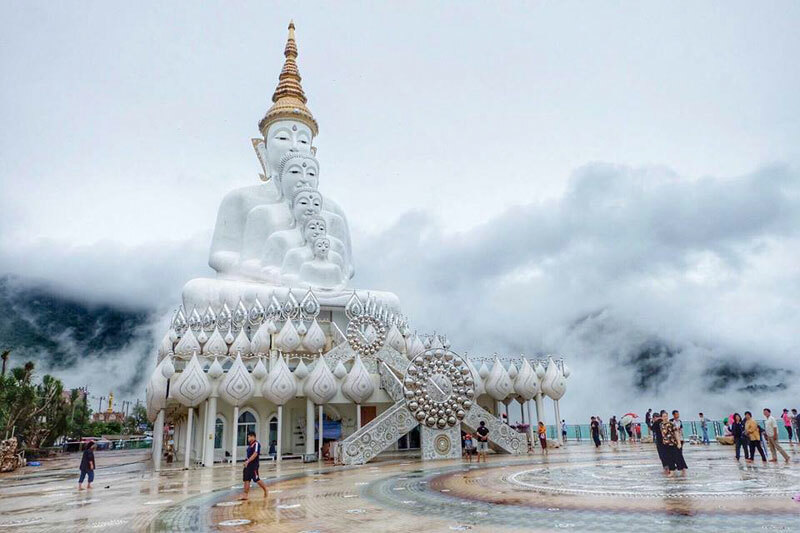 Royal Highness Princess Maha Chakri Sirindhorn oversaw the planting of its forests personally, and gave sacred relics to be enshrined at the pagoda. Do bear in mind that when visiting temples and the like, it is appropriate to cover up. 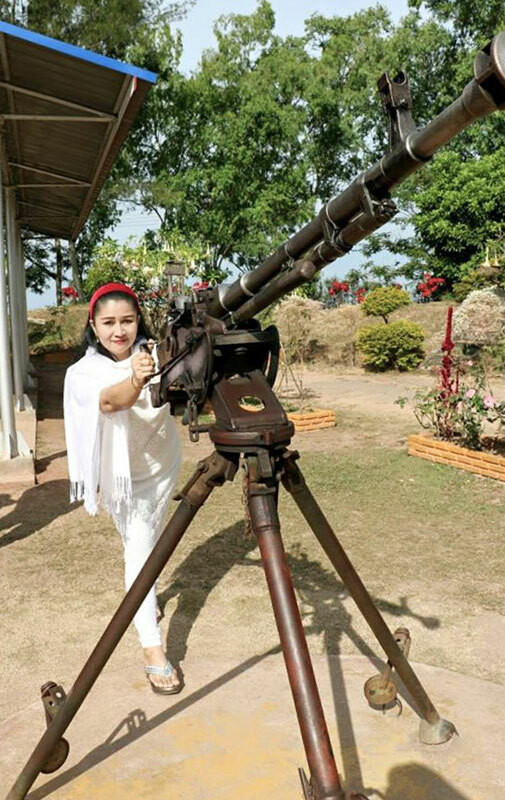 You don’t have to be a weapons enthusiast to visit this museum. It’s got artillery and weaponry which was used in previous battles. 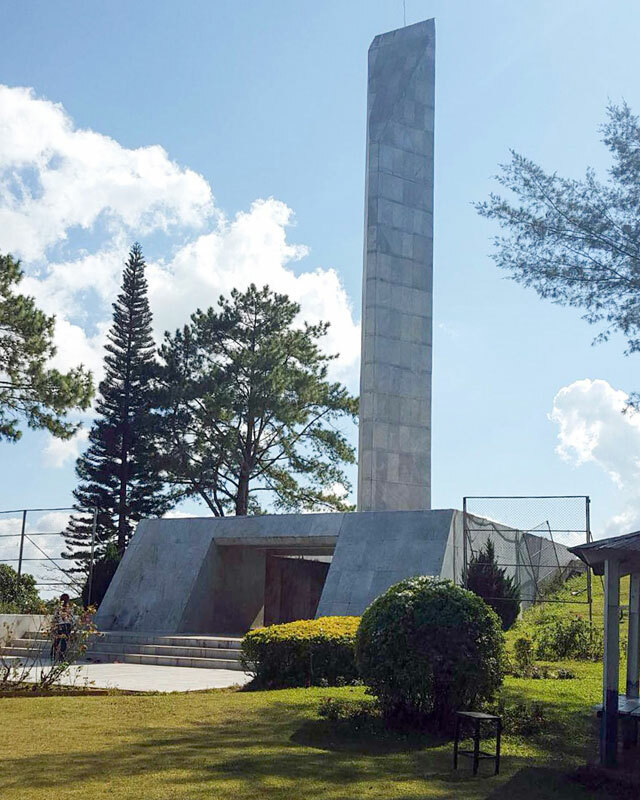 If you make your way towards the mountain top, you’ll come to Khao Kho’s Sacrificial Monument where the casualties of war are memorialized in marble. 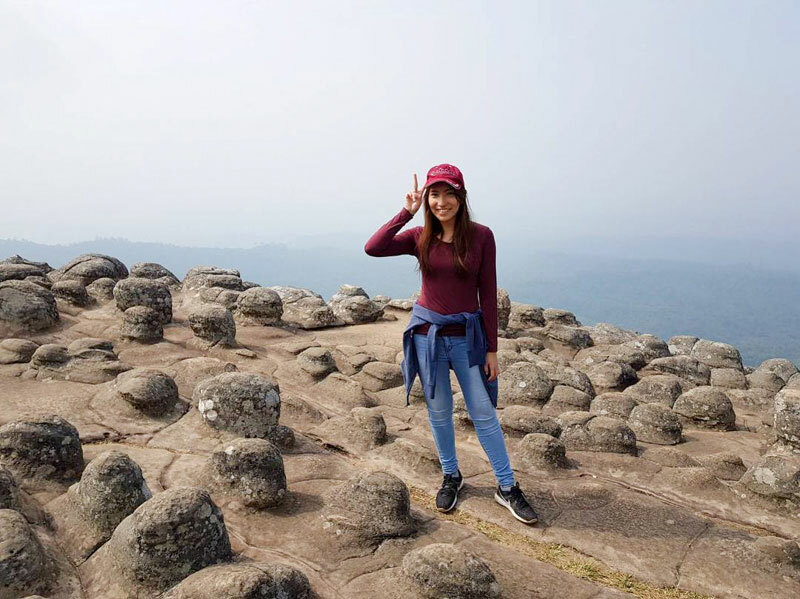 If you’re into history and love adventuring to culturally rich surroundings, this historical park will be right up your alley. 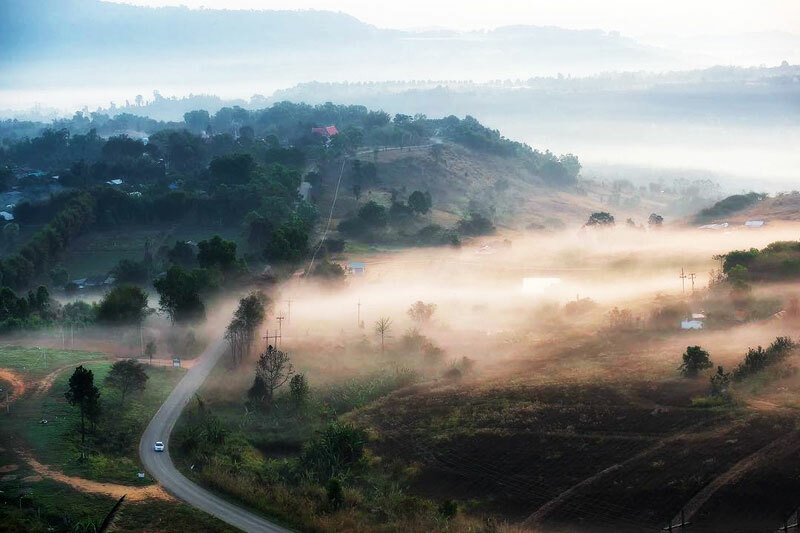 Spend an hour or so walking around the ruins of Phetchabun’s ancient town, which dates back to about 1000 years old. 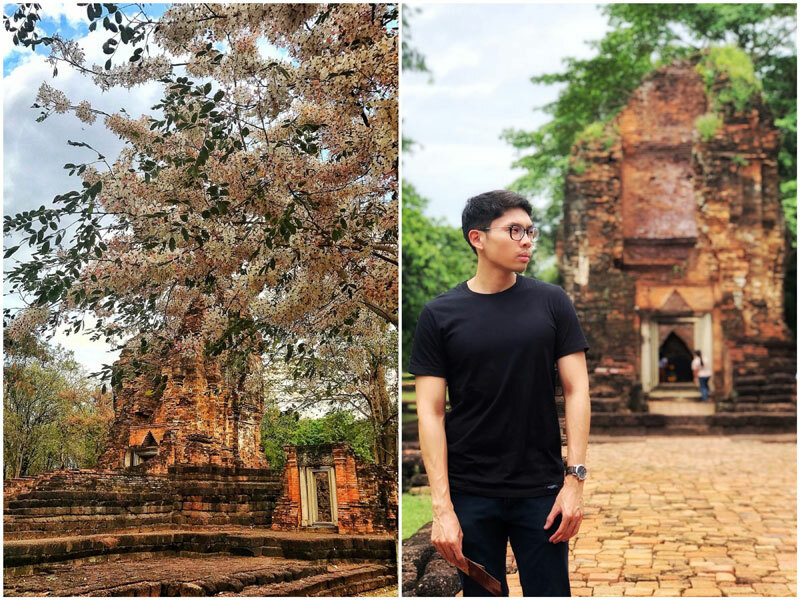 There is a lot of Thai history here and you can feel a sense of magic in the air – I often get this feeling when walking through time, and holy grounds. 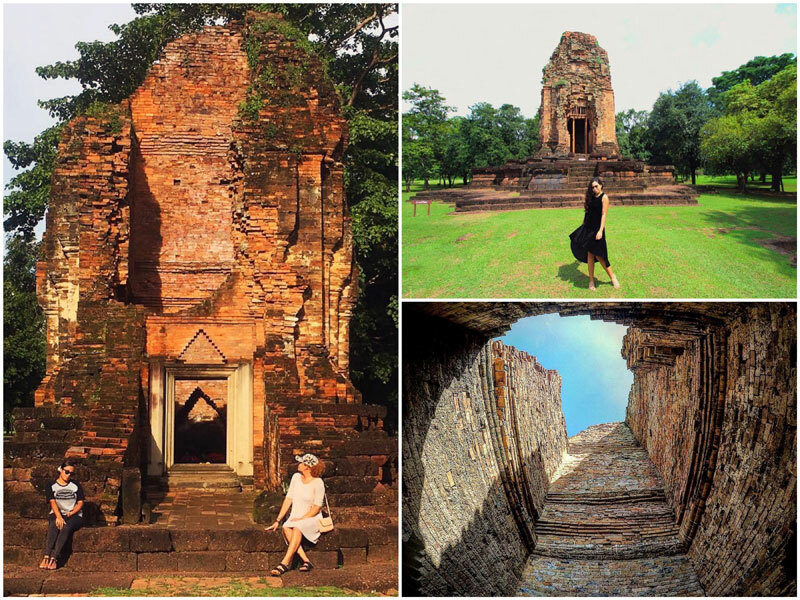 Discover the few temples whilst taking a peaceful stroll around the grounds. 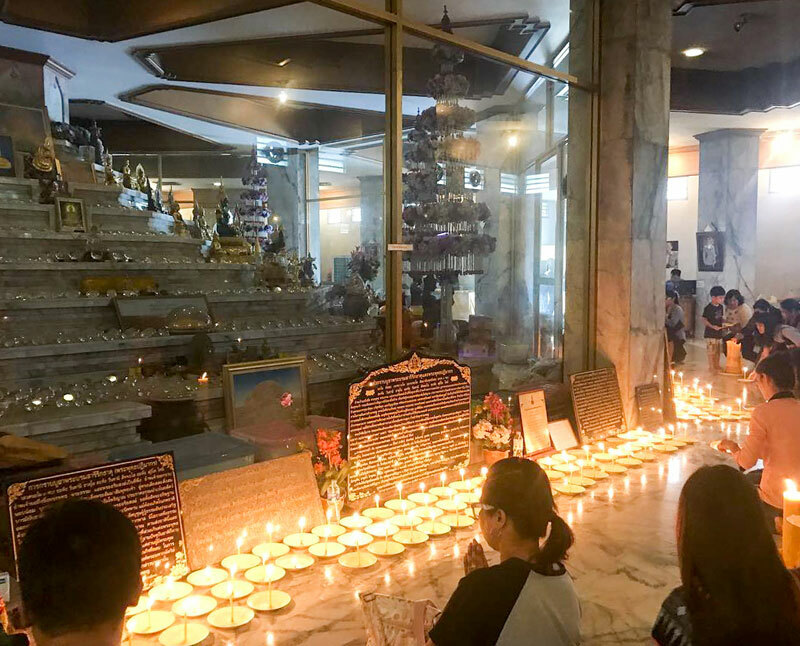 There’s also two Information Centers – an old one and a new – which have displays of ancient remains and exhibits on the history, and archaeology of the Si Thep Historical Park. 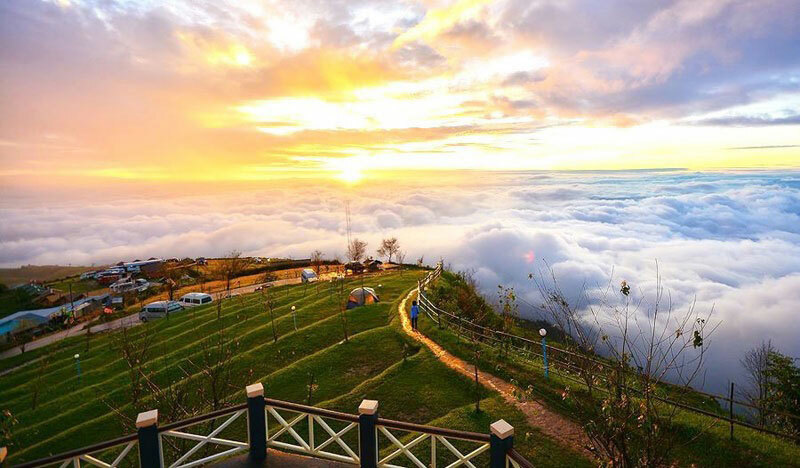 This town should be considered one of the wonders of the world, just for the fact that you get to wake up with clouds beneath your feet. Feels just like heaven, doesn’t it?